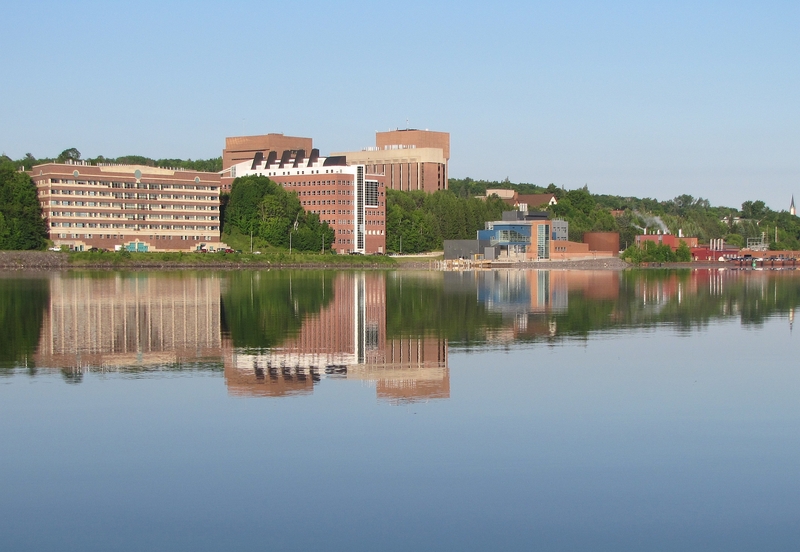 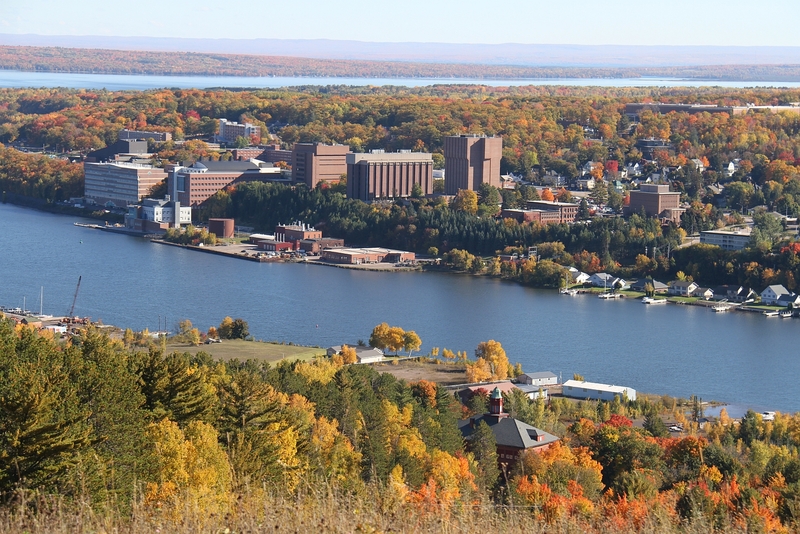 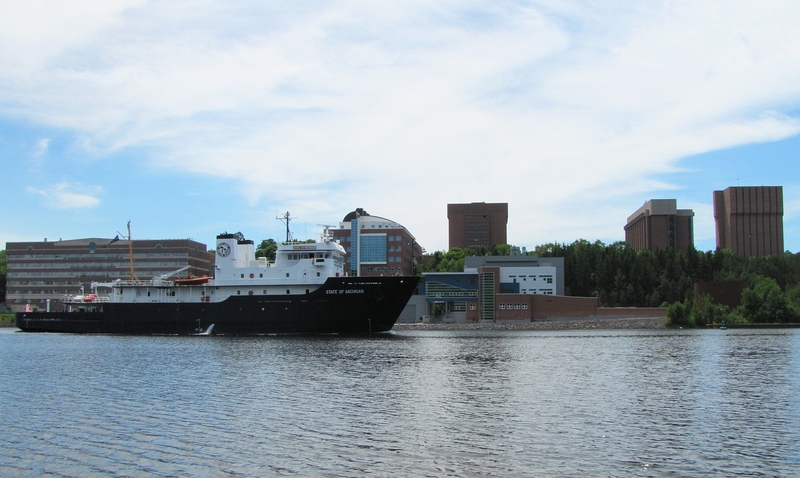 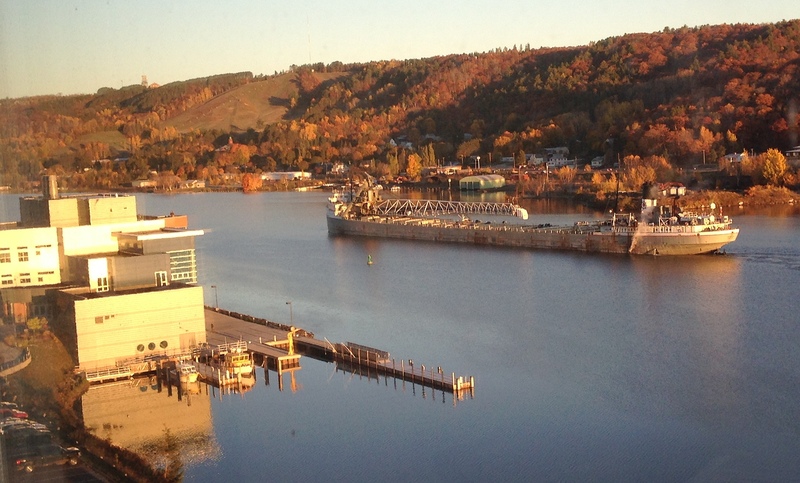 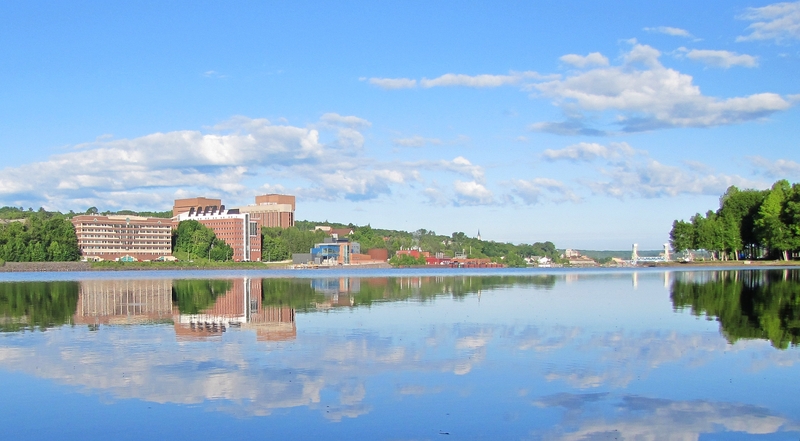 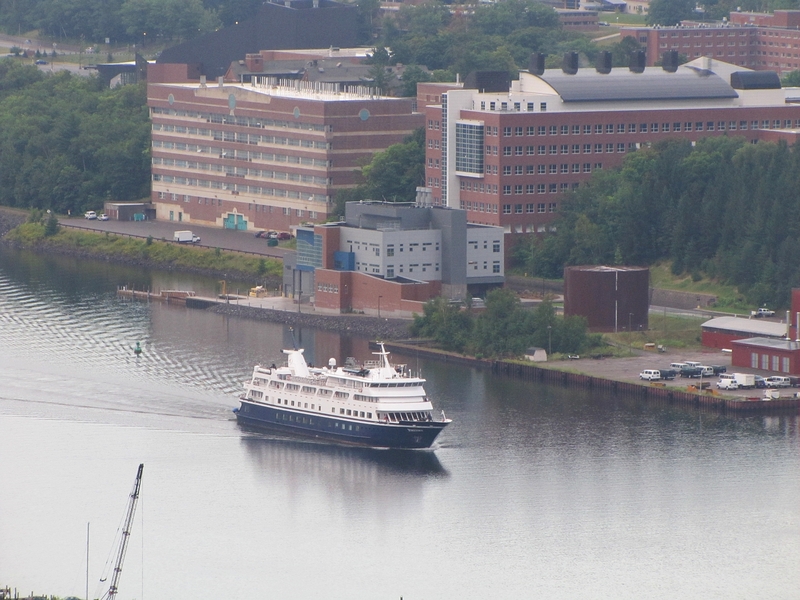 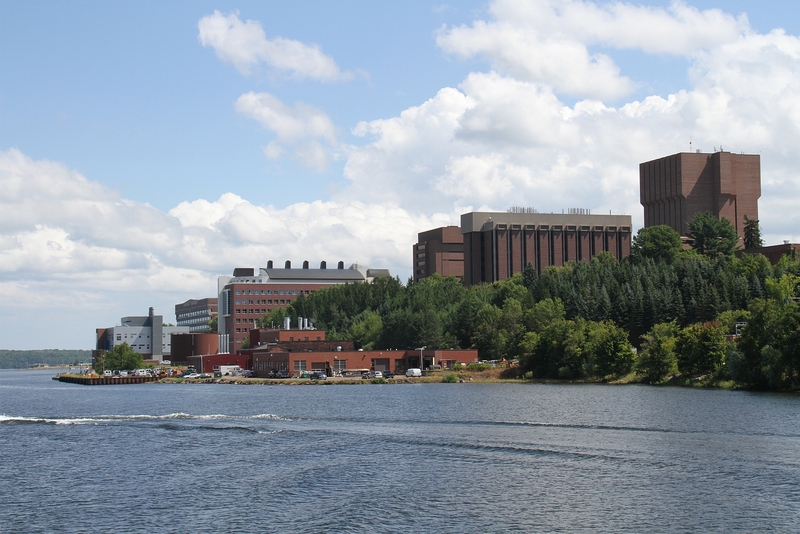 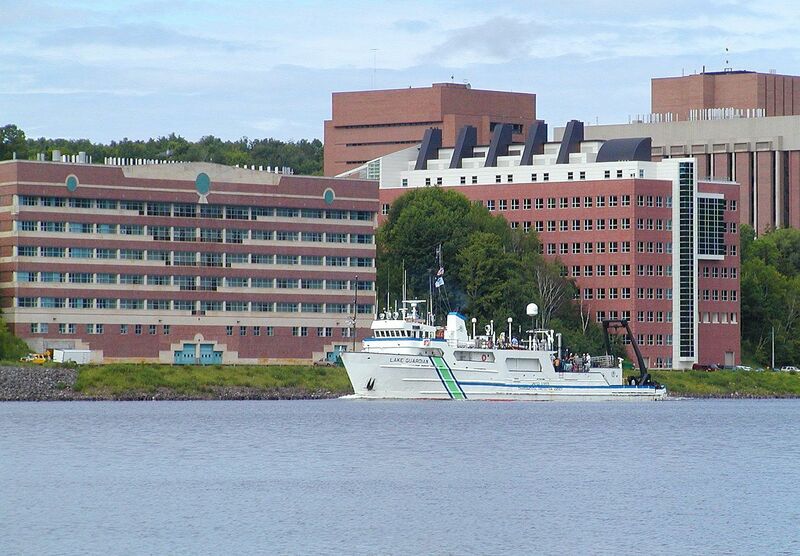 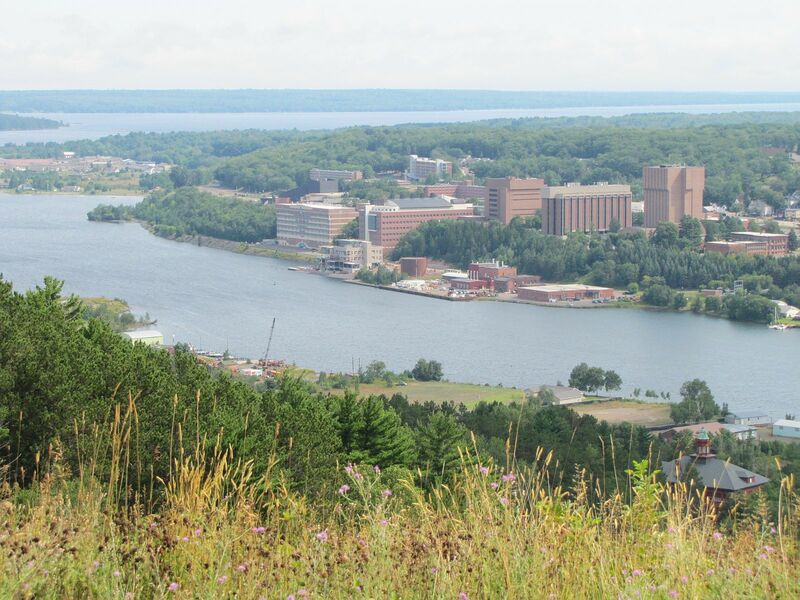 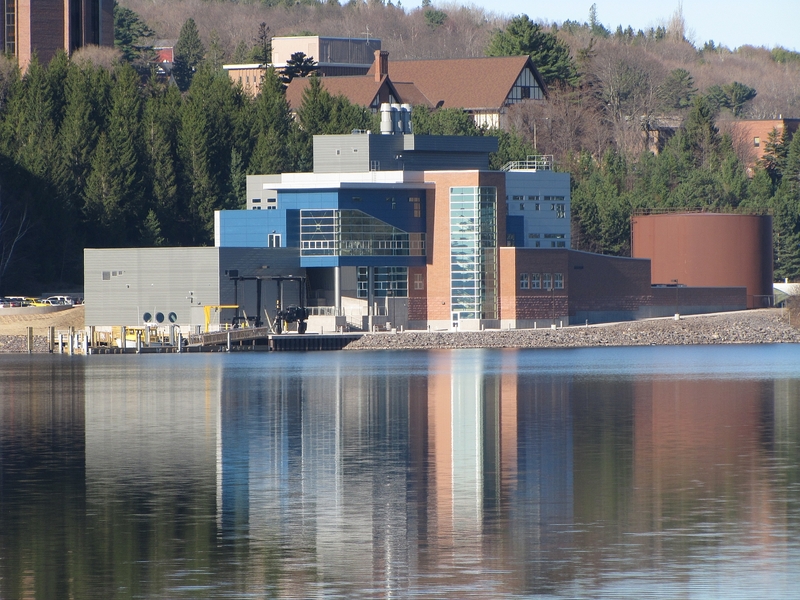 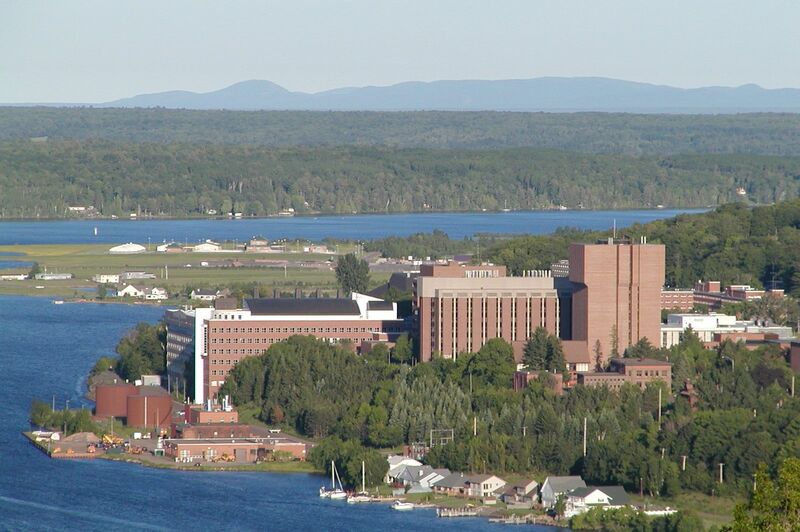 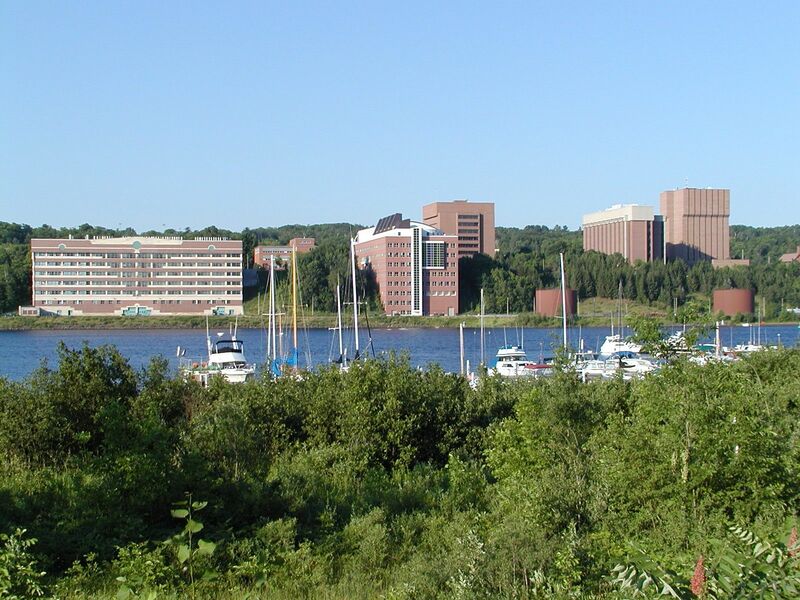 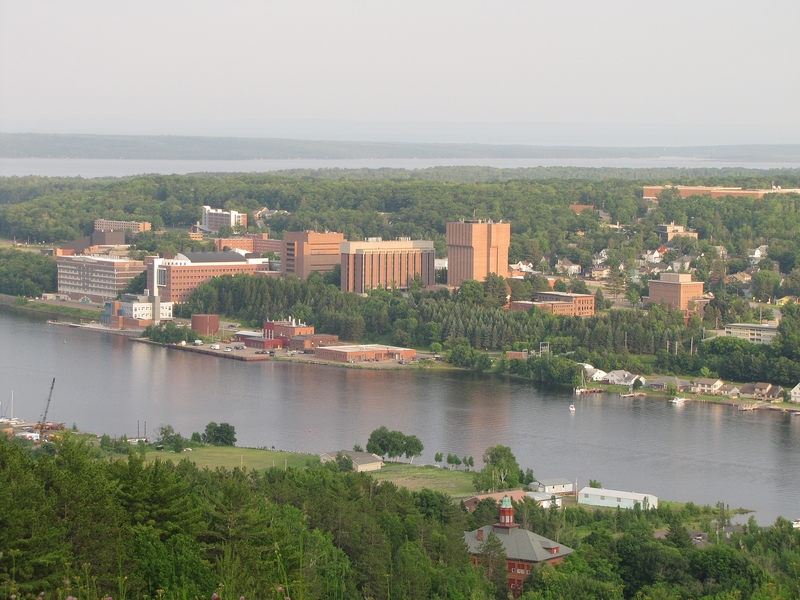 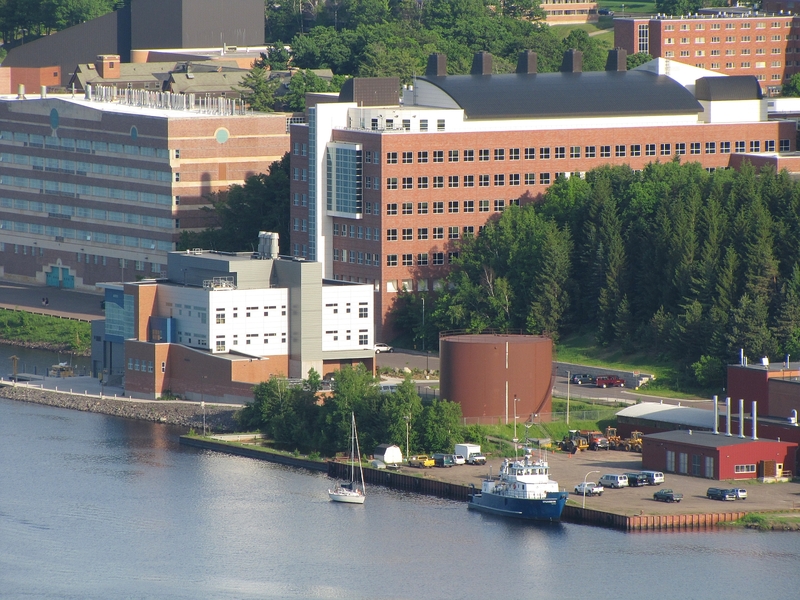 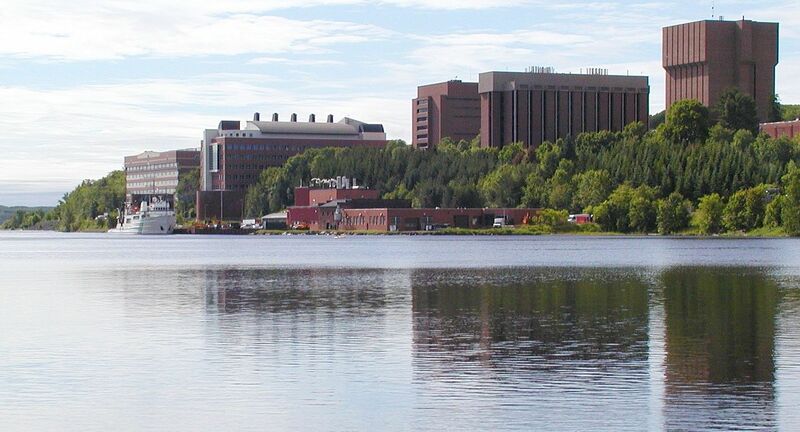 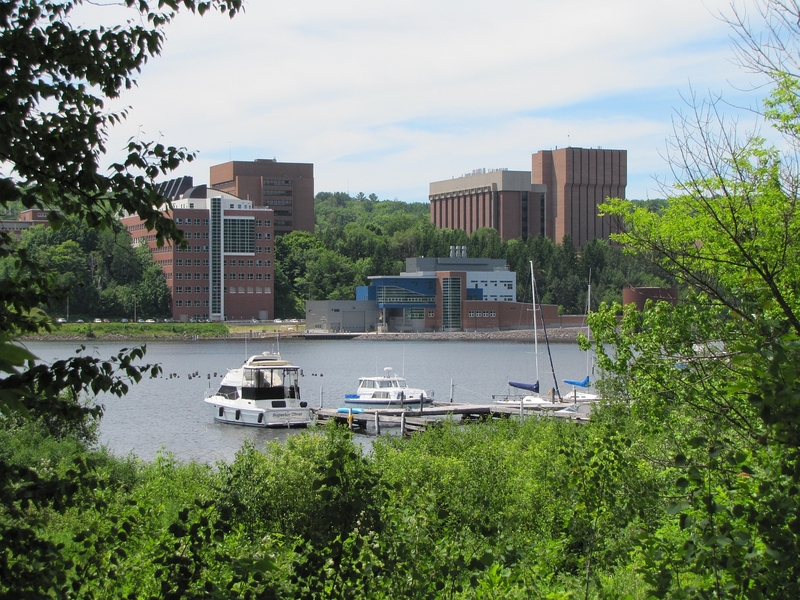 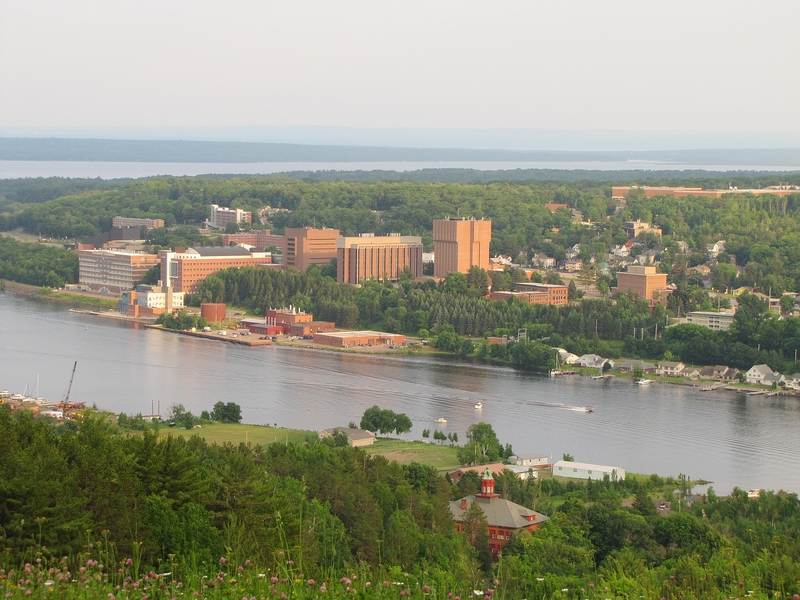 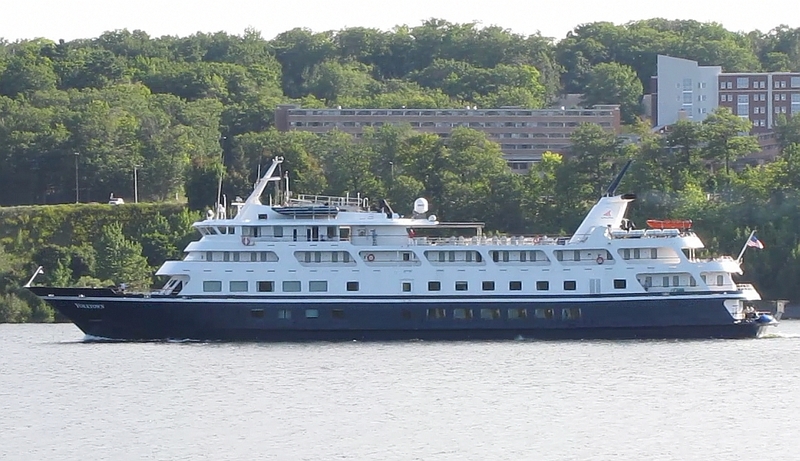 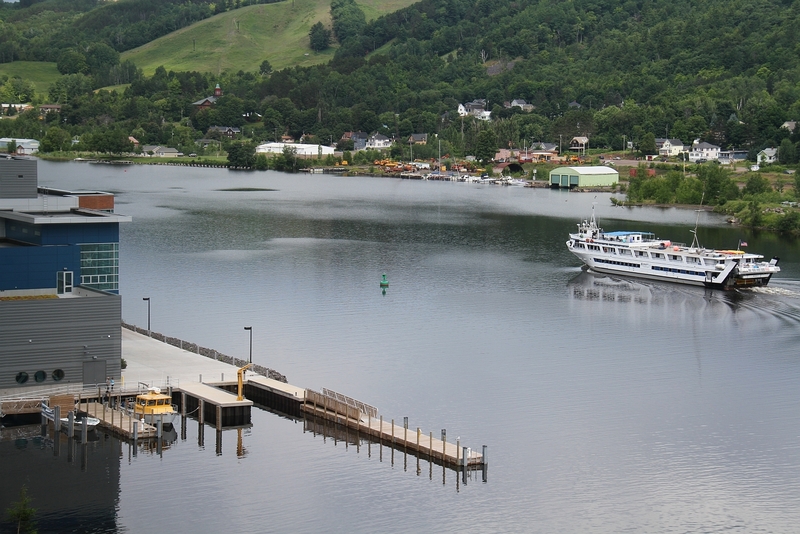 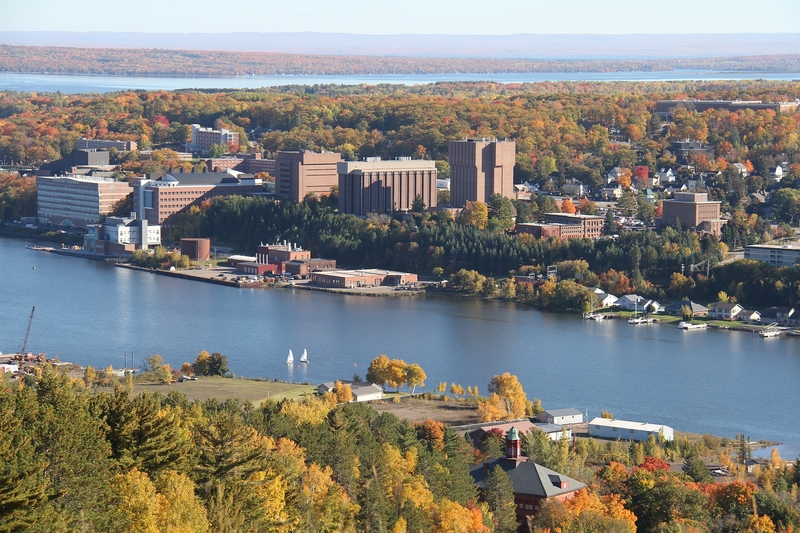 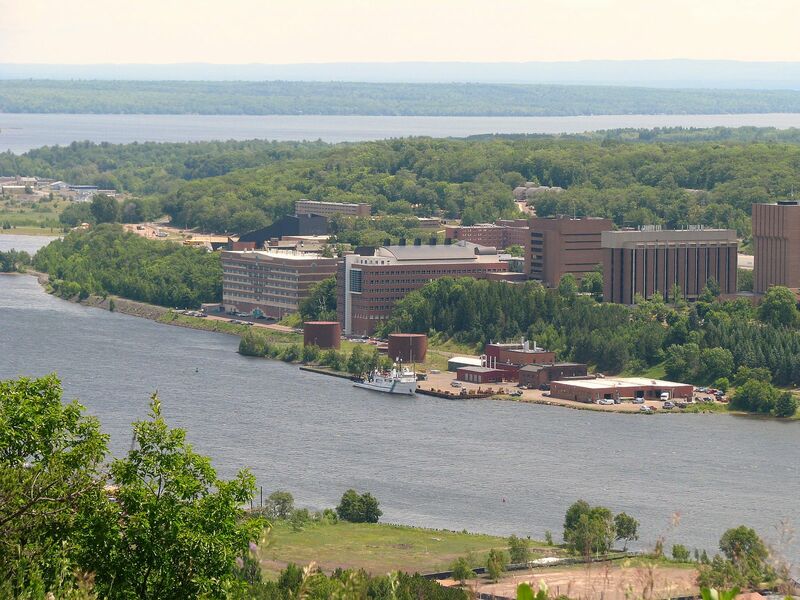 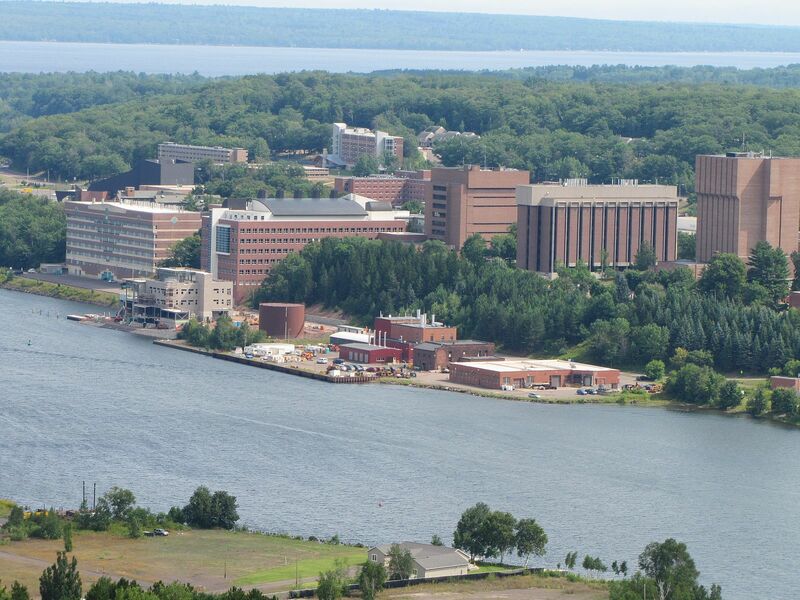 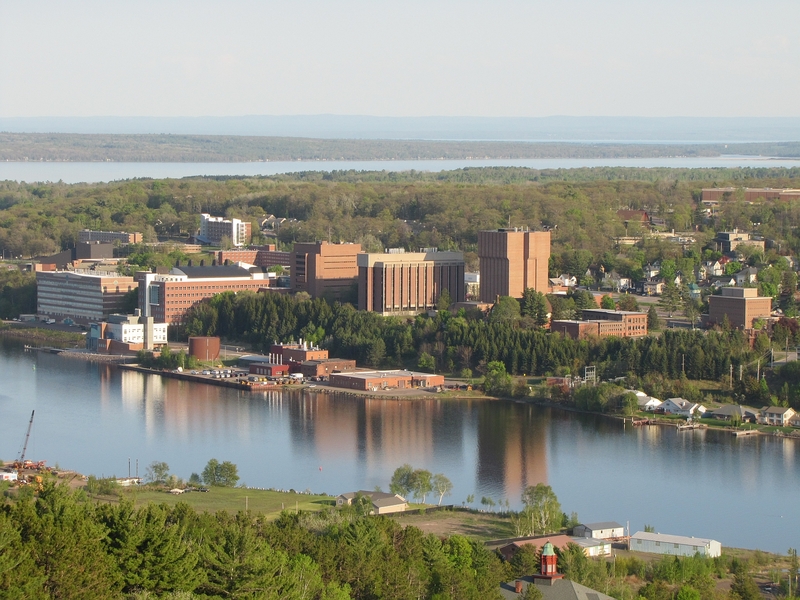 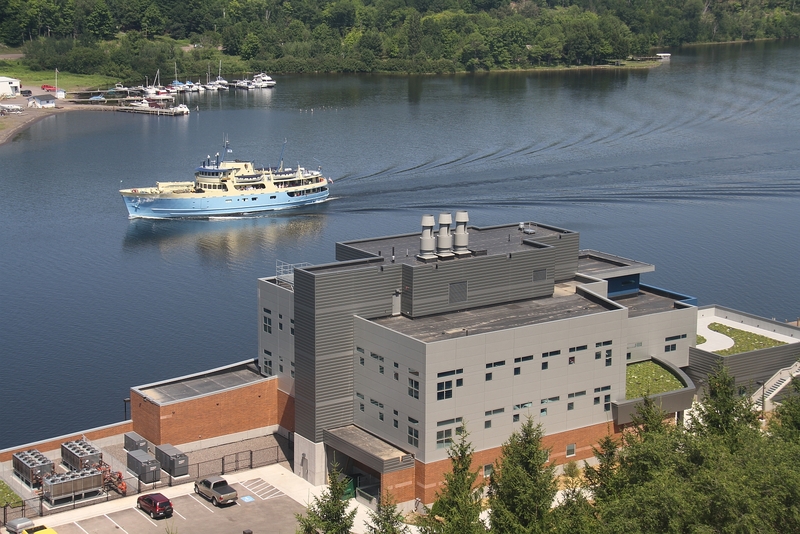 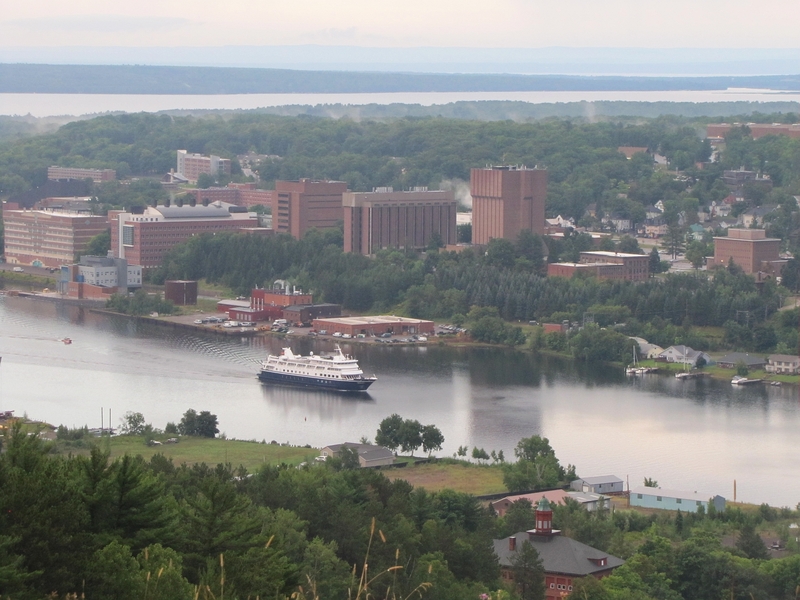 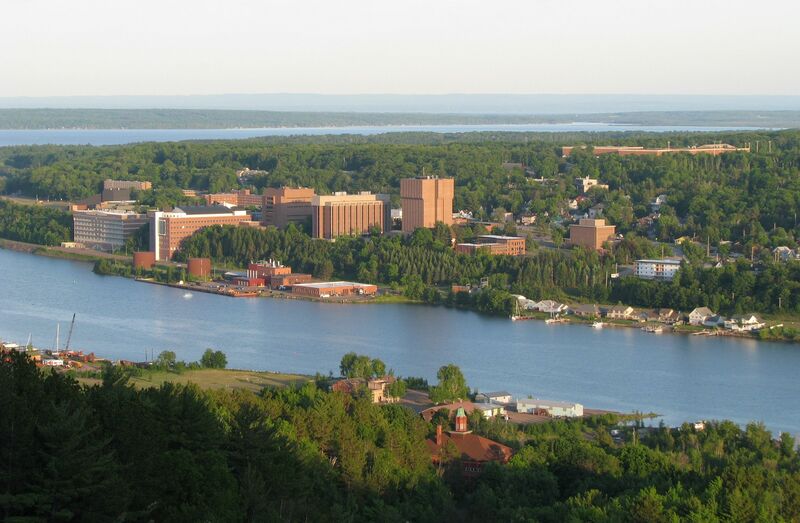 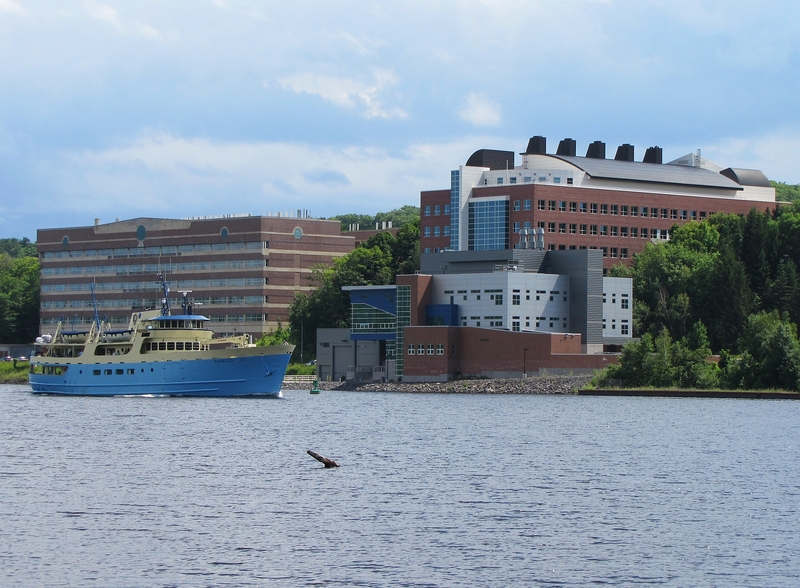 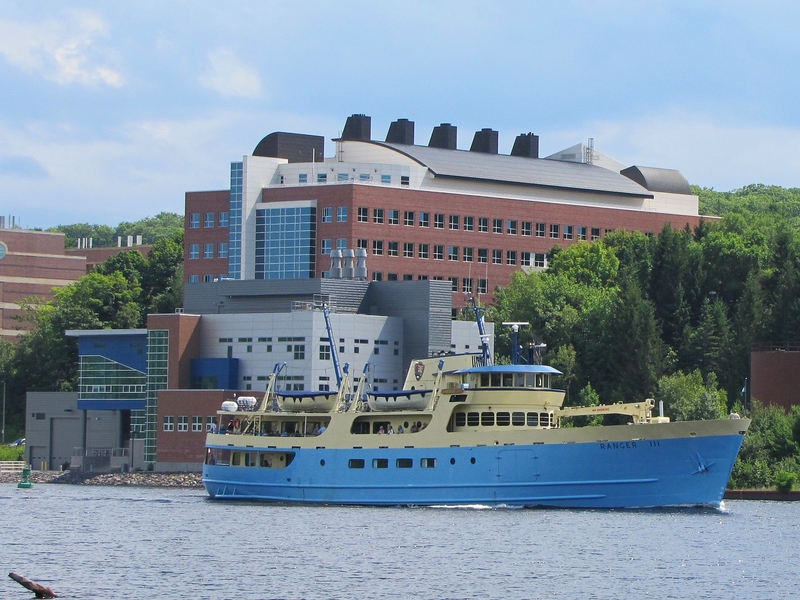 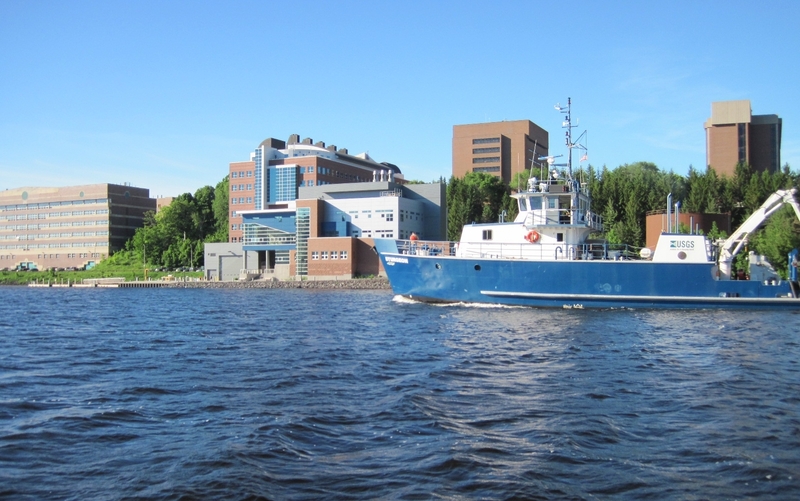 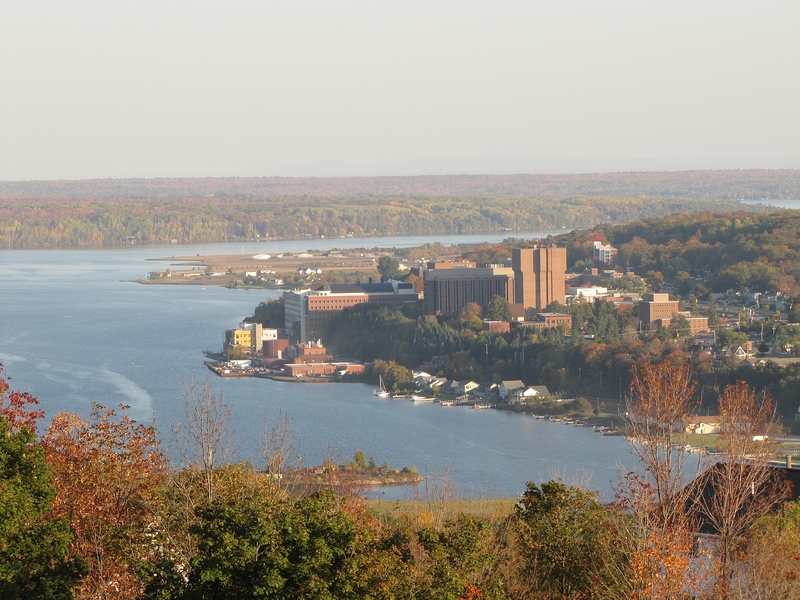 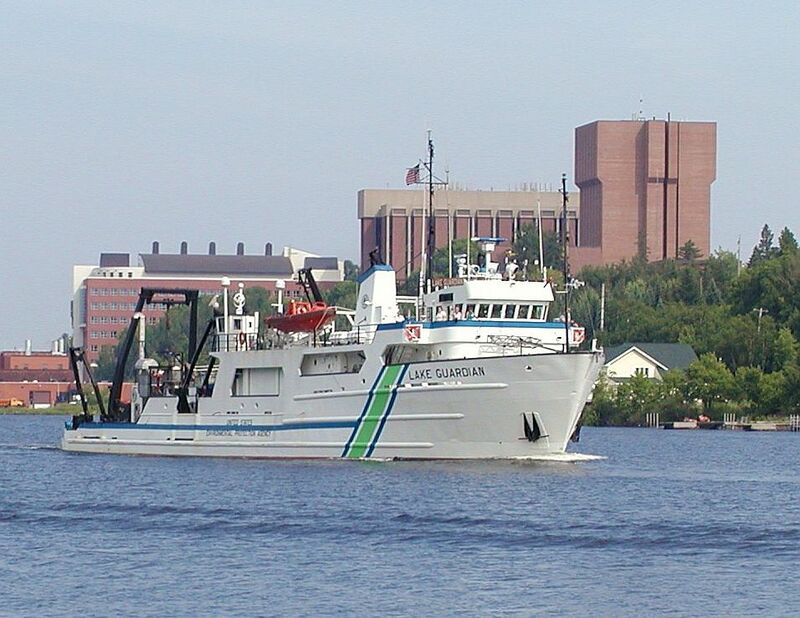 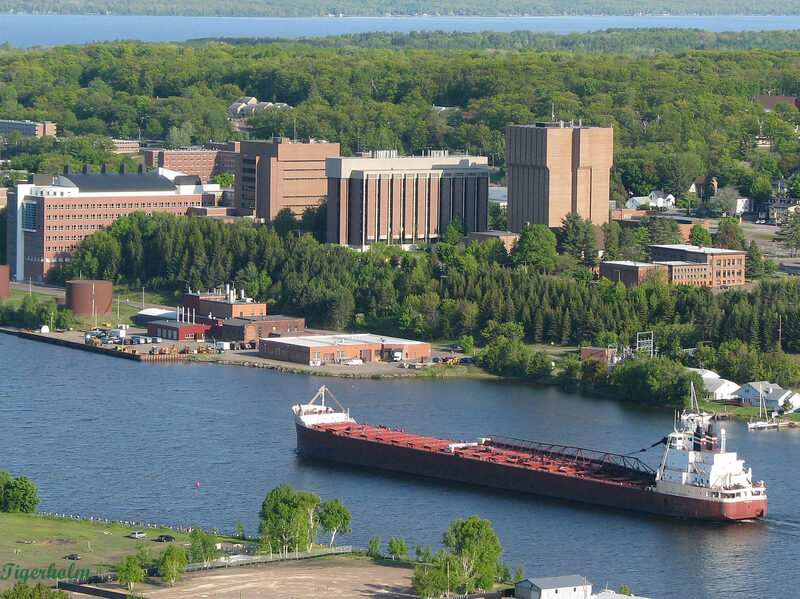 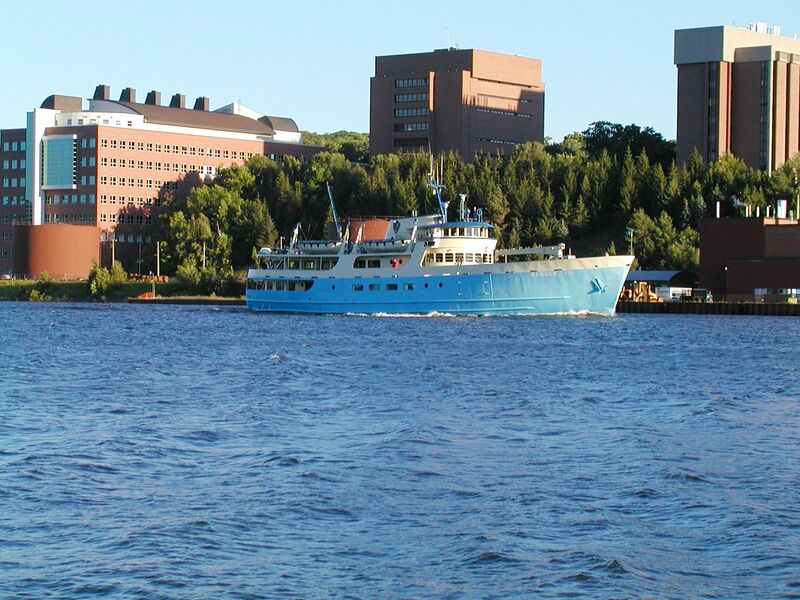 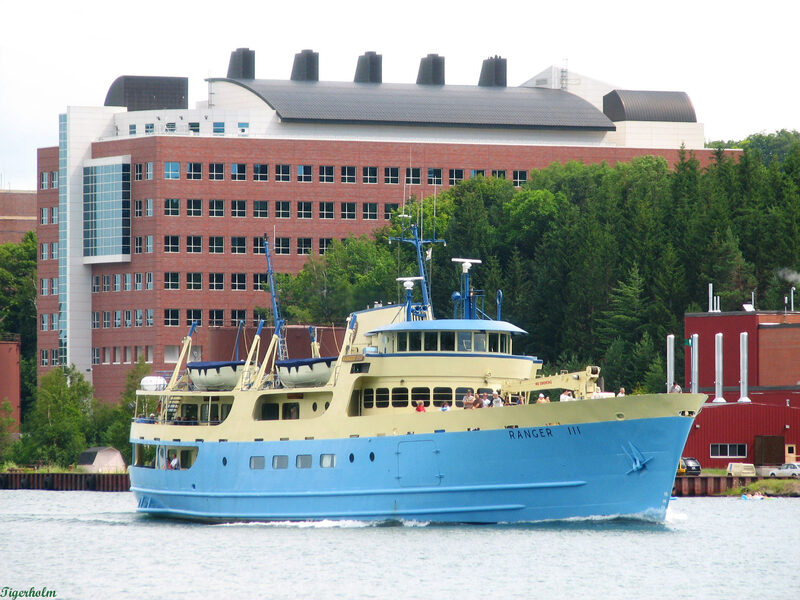 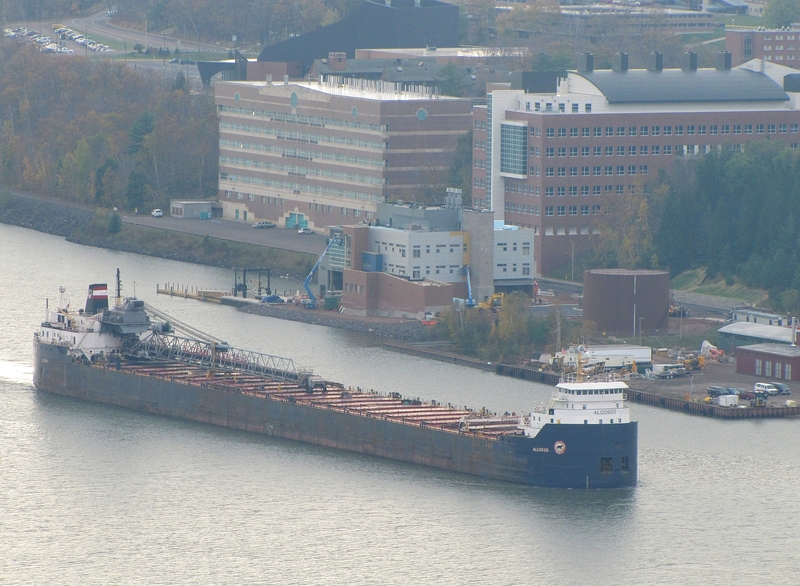 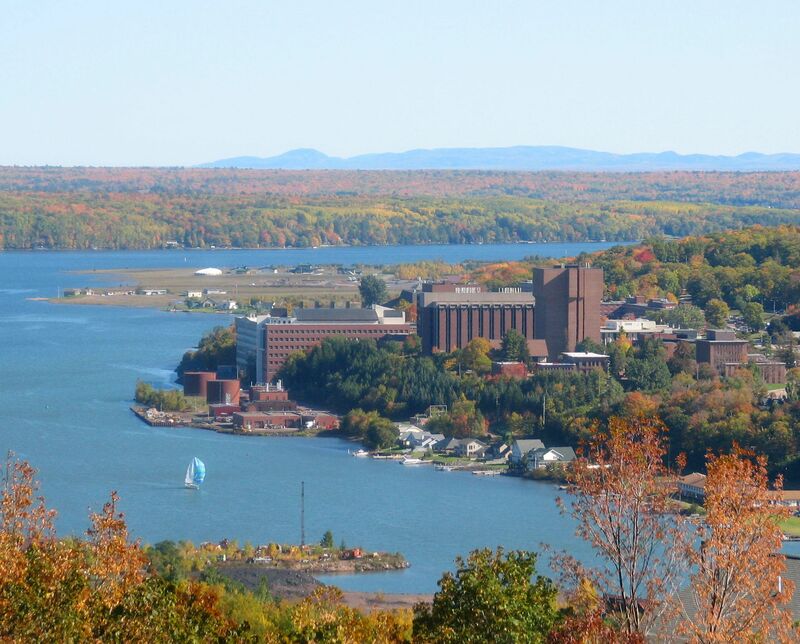 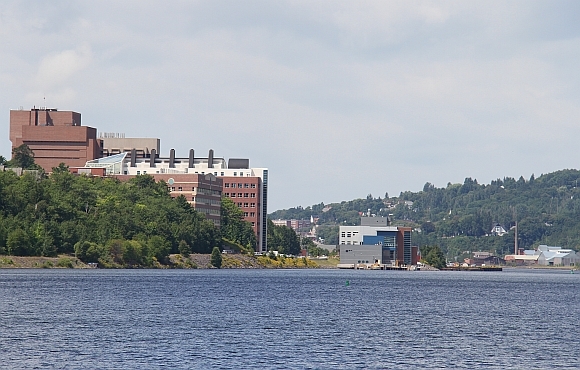 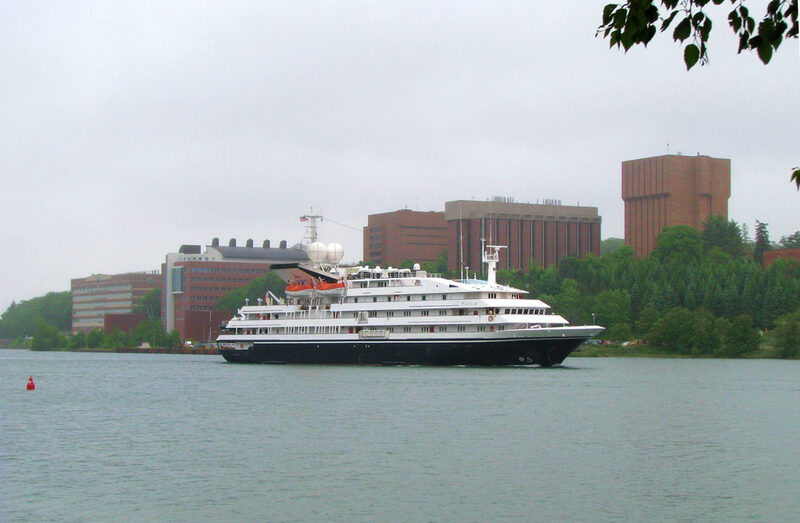 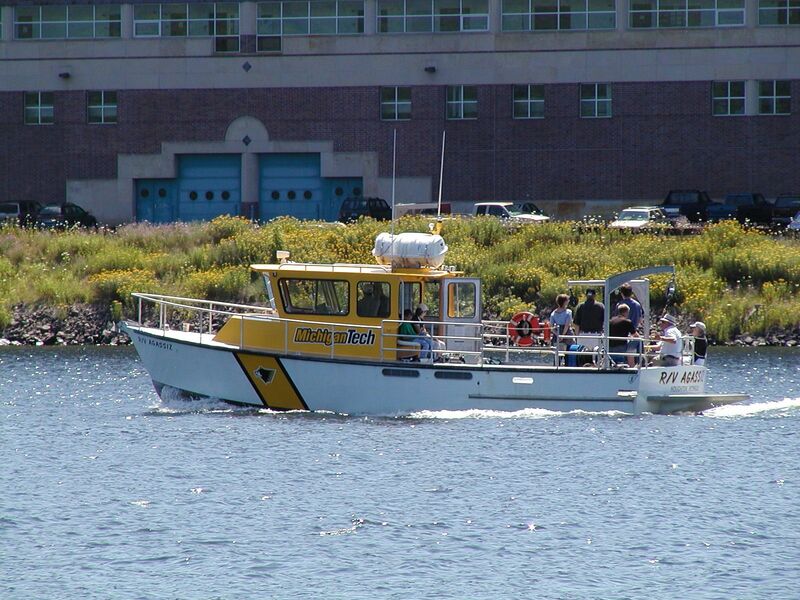 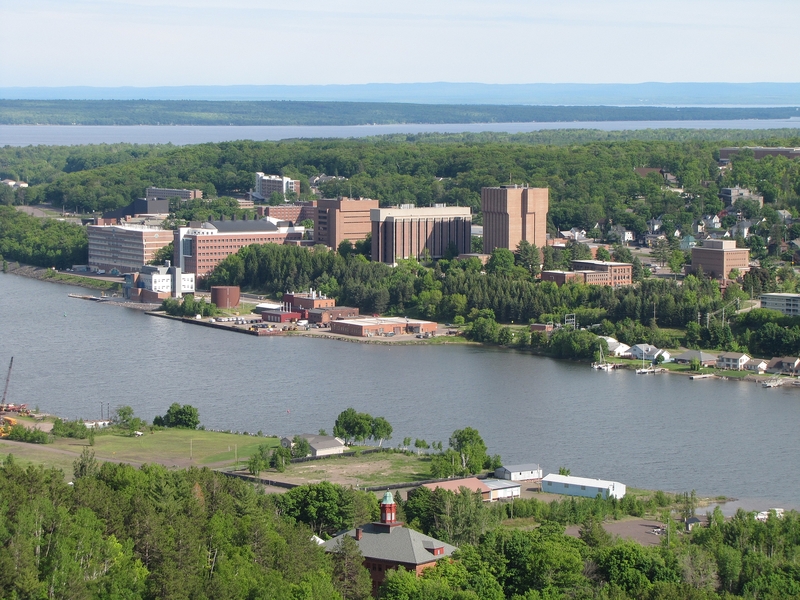 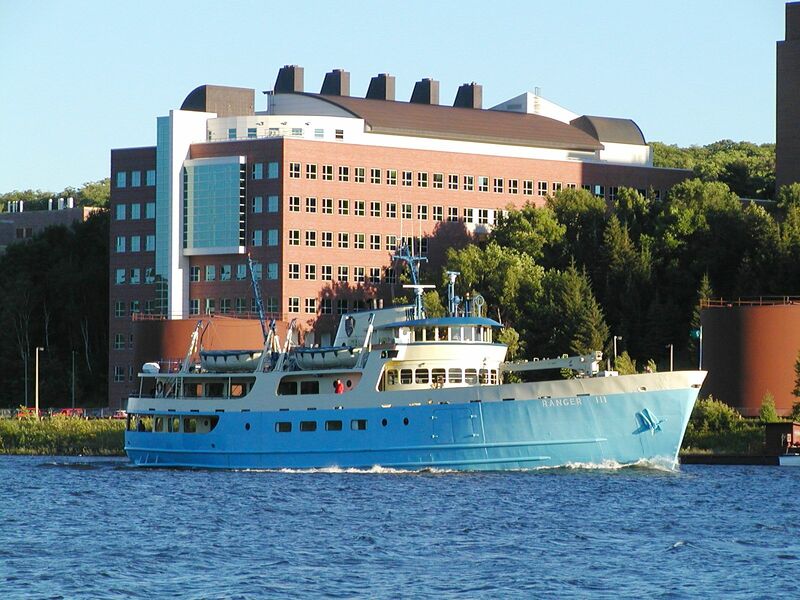 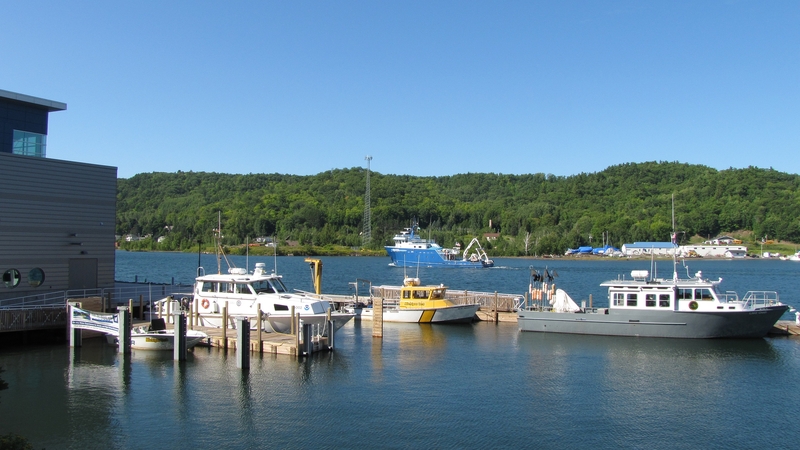 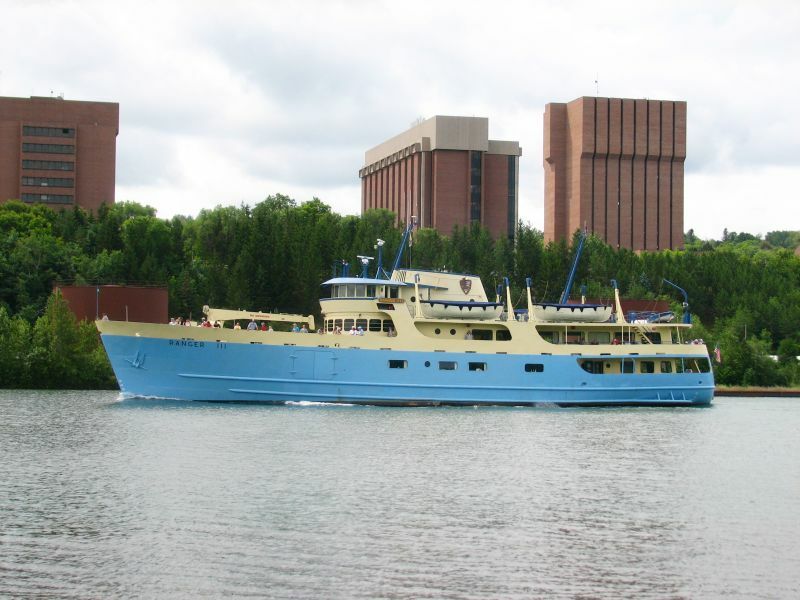 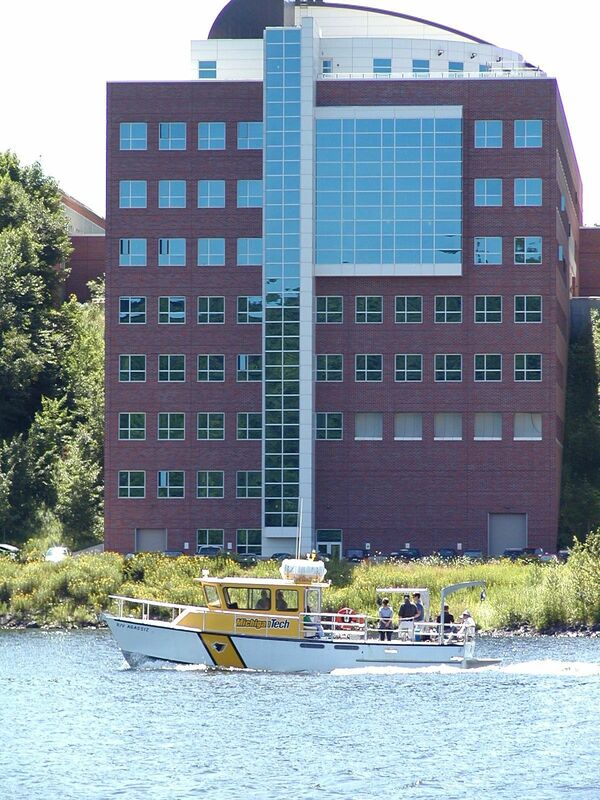 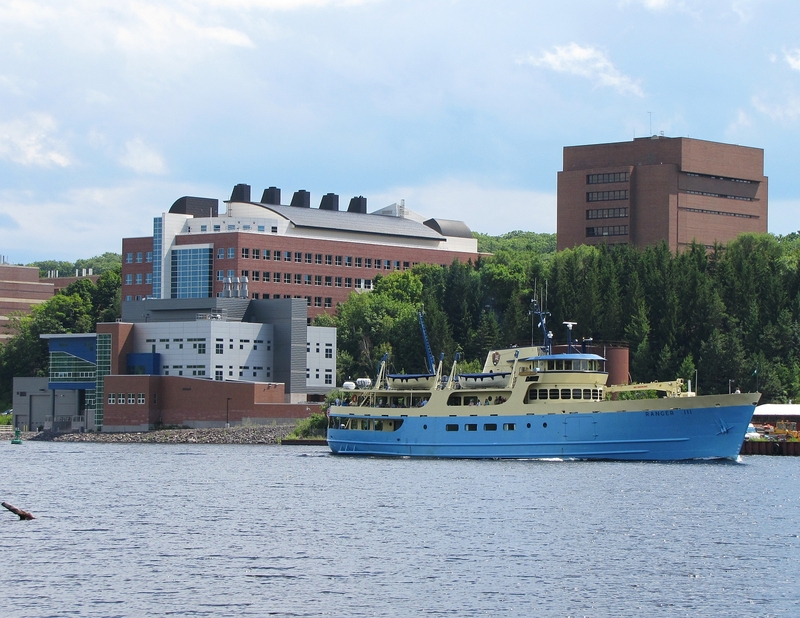 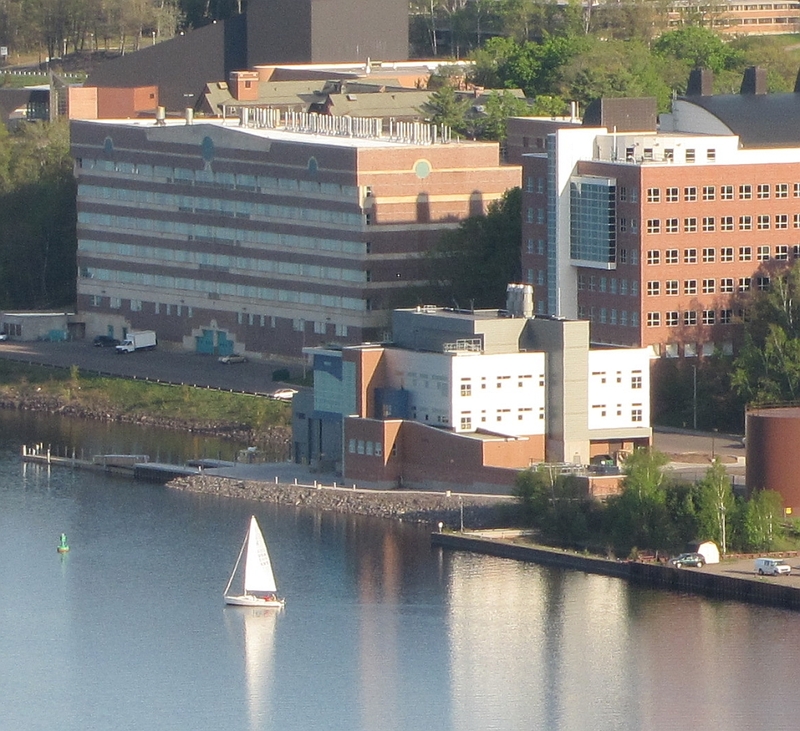 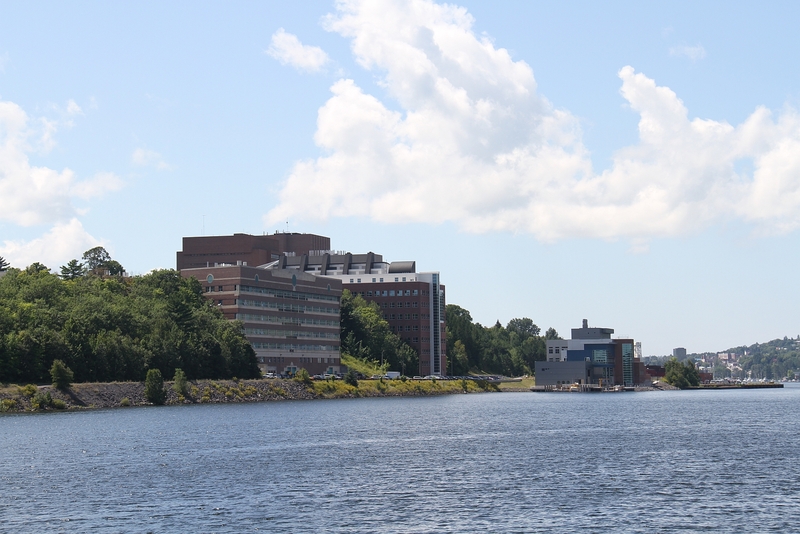 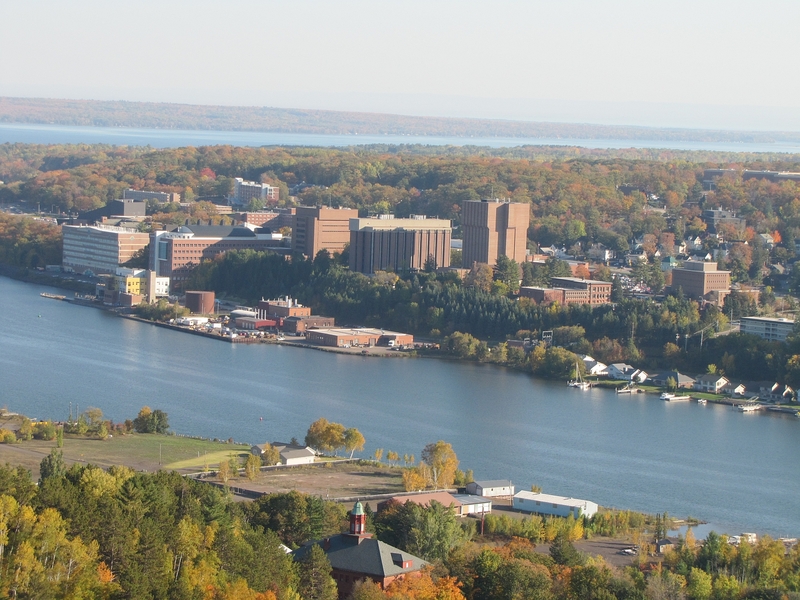 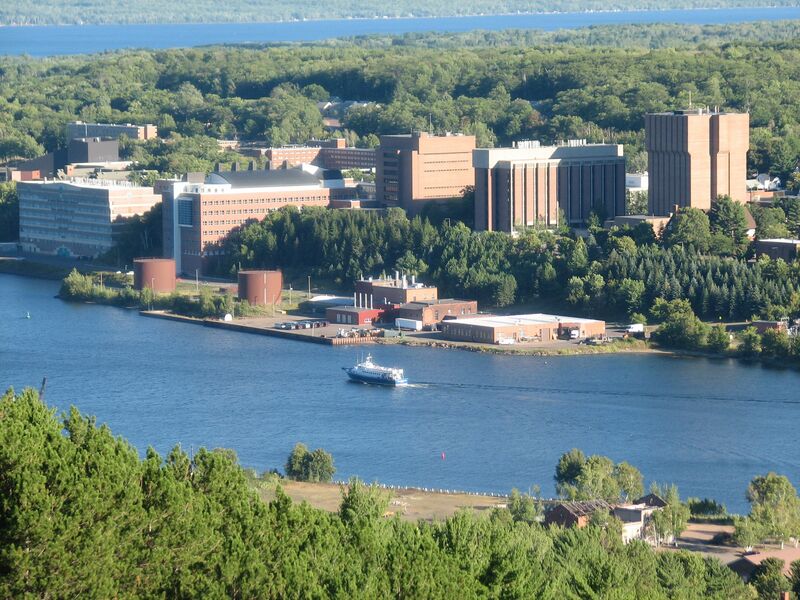 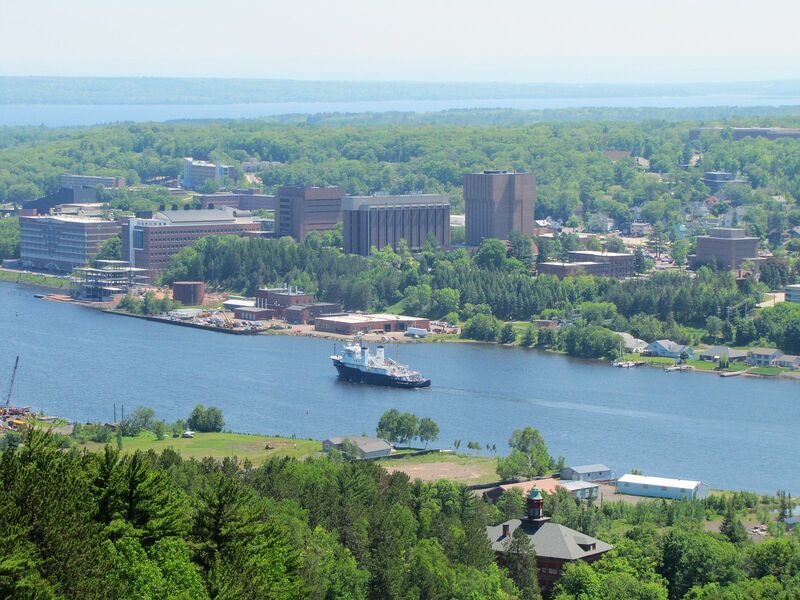 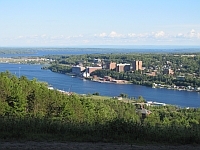 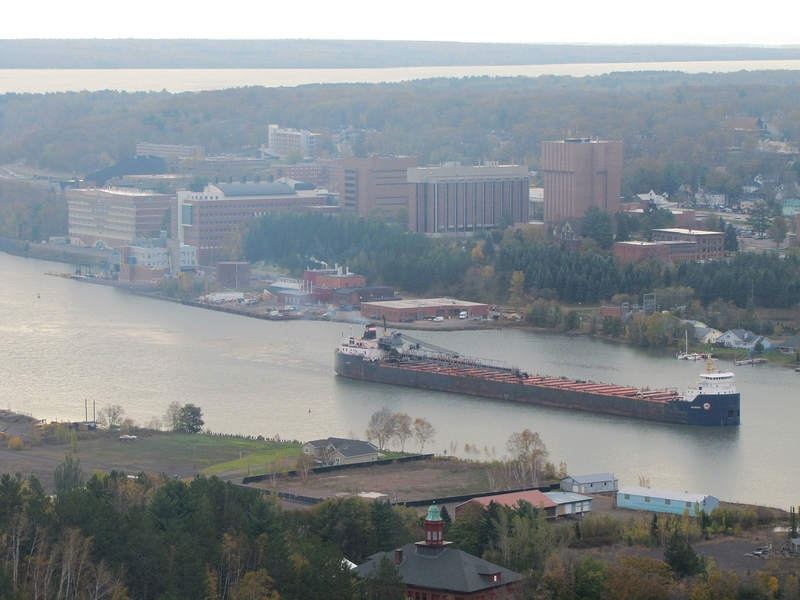 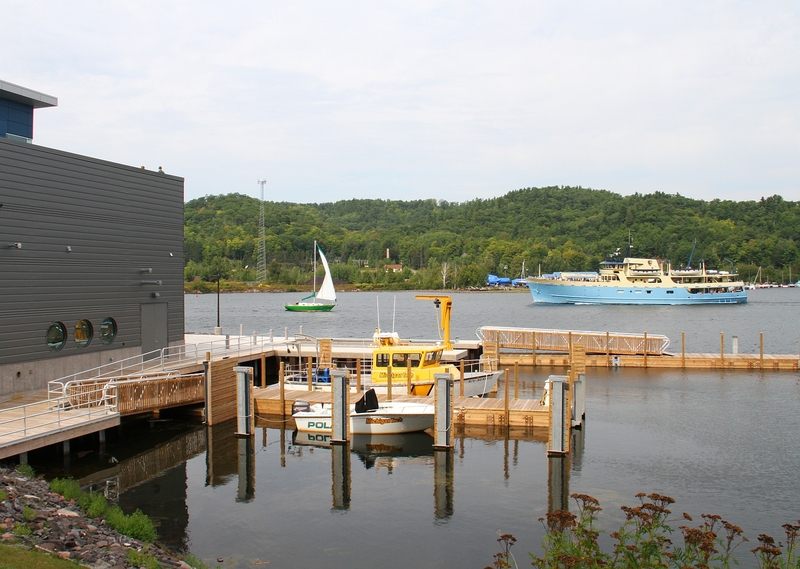 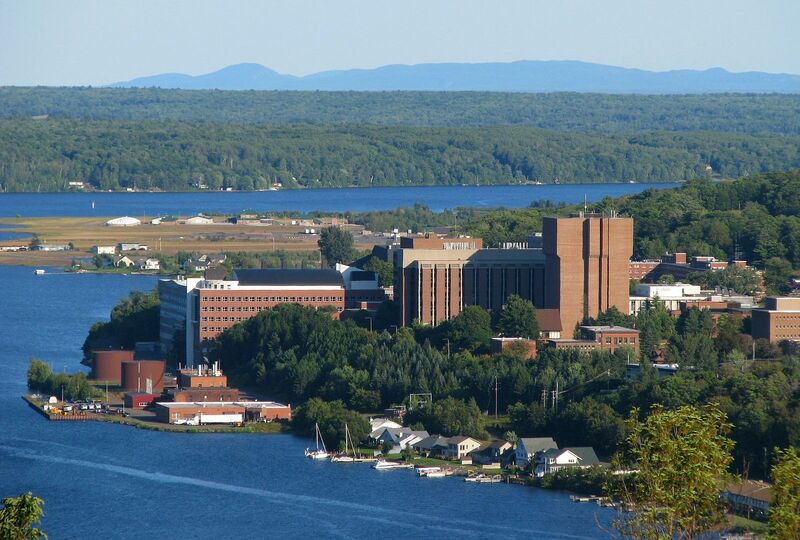 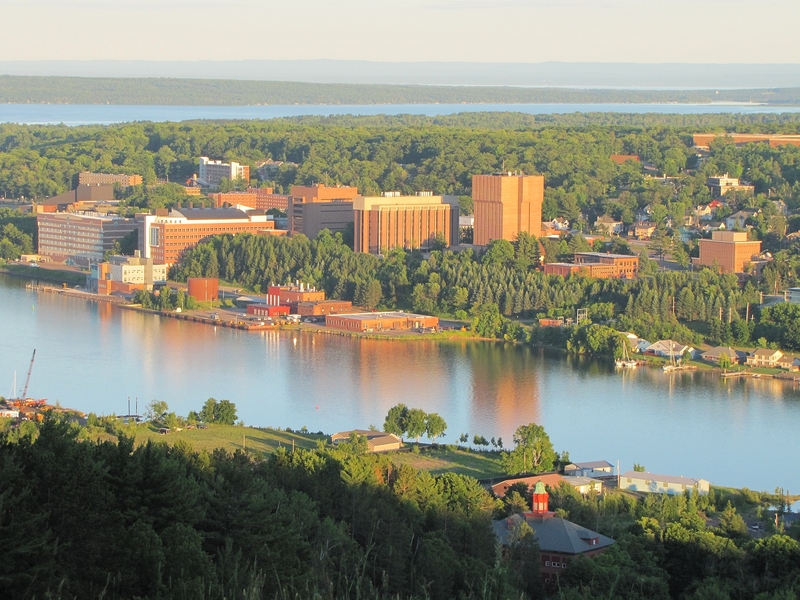 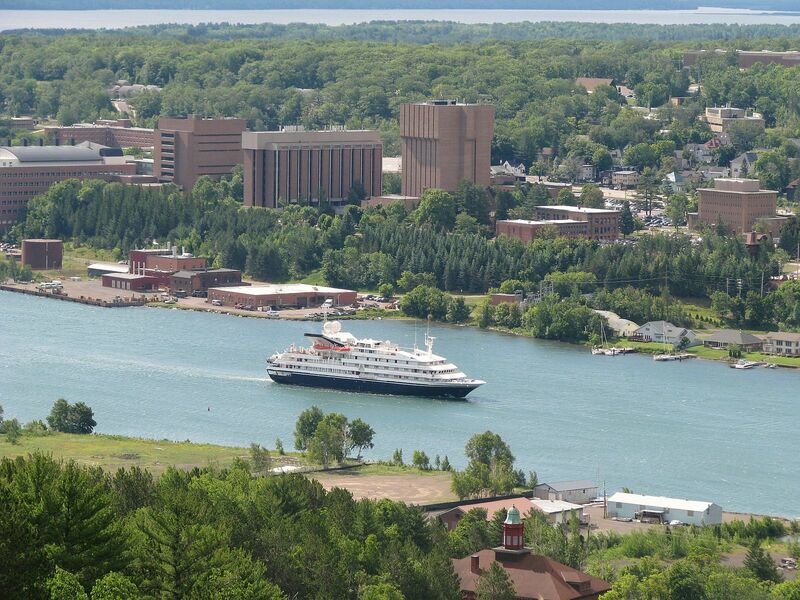 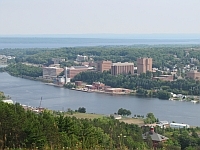 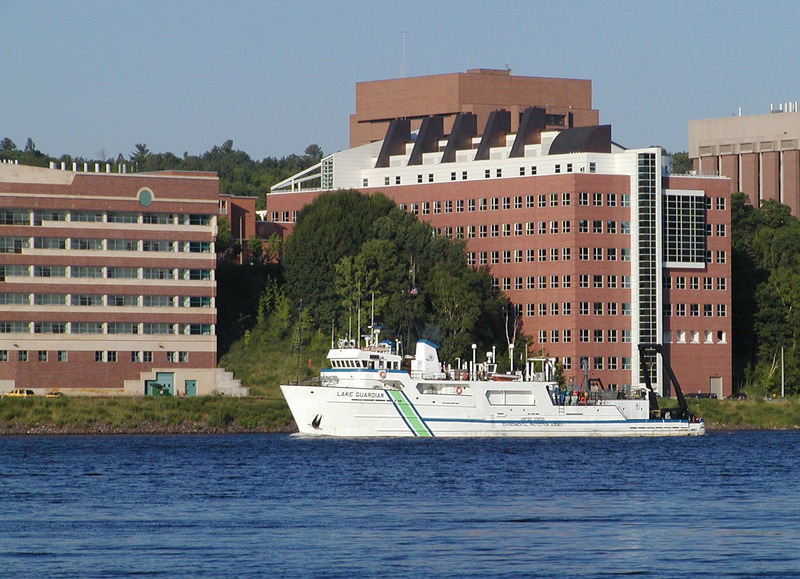 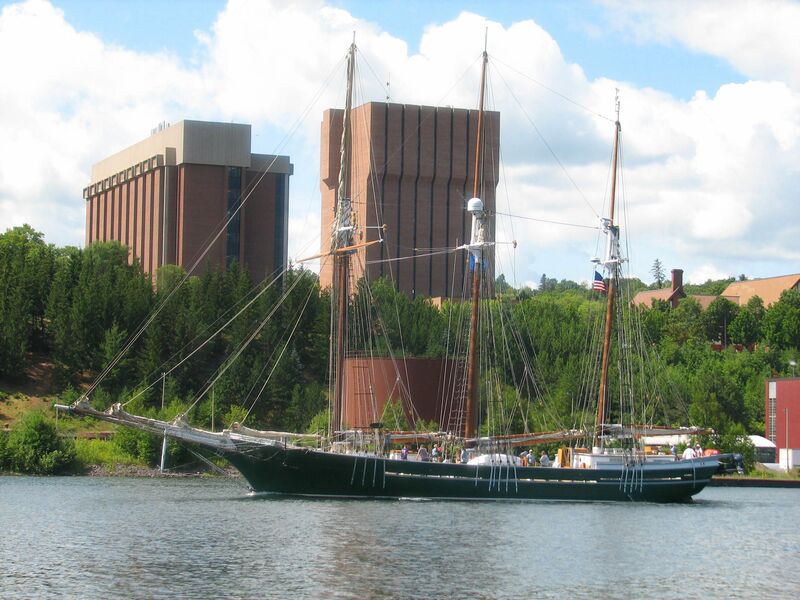 Several people have sent e-mails about the Michigan Tech campus scenes, especially the views of the M/V Ranger III , of the Isle Royale National Park, and the R/V Lake Guardian, the U.S. Environmental Protection Agency Research Vessel, cruising by the Michigan Tech campus skyline on the Keweenaw Waterway. 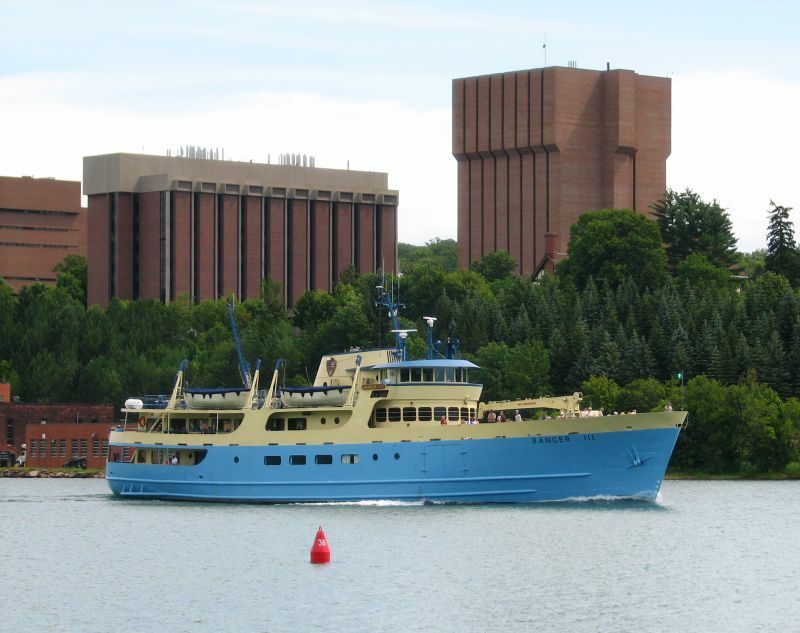 Many students and alumni have enjoyed trips to Isle Royale in Lake Superior aboard the Ranger III. 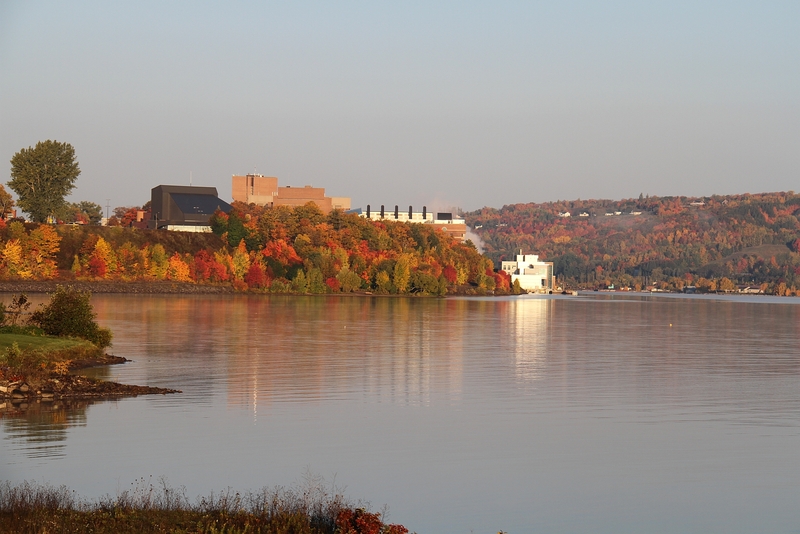 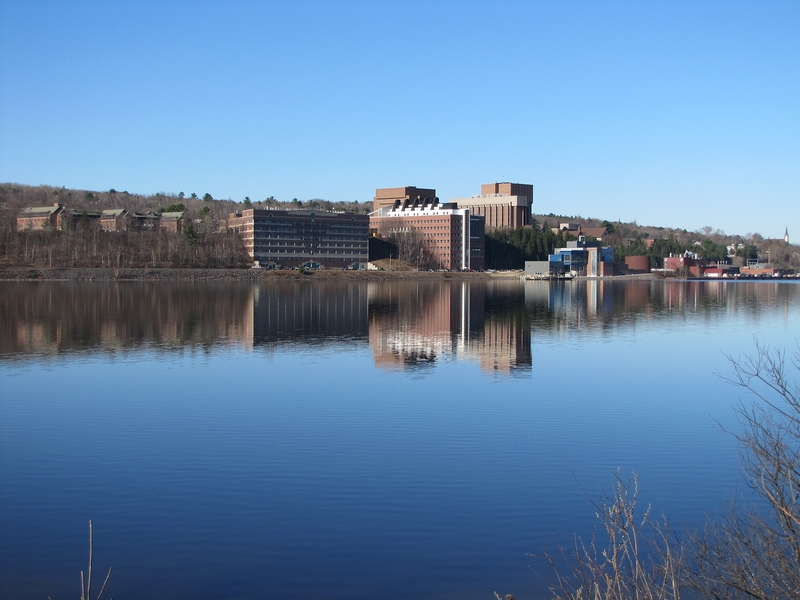 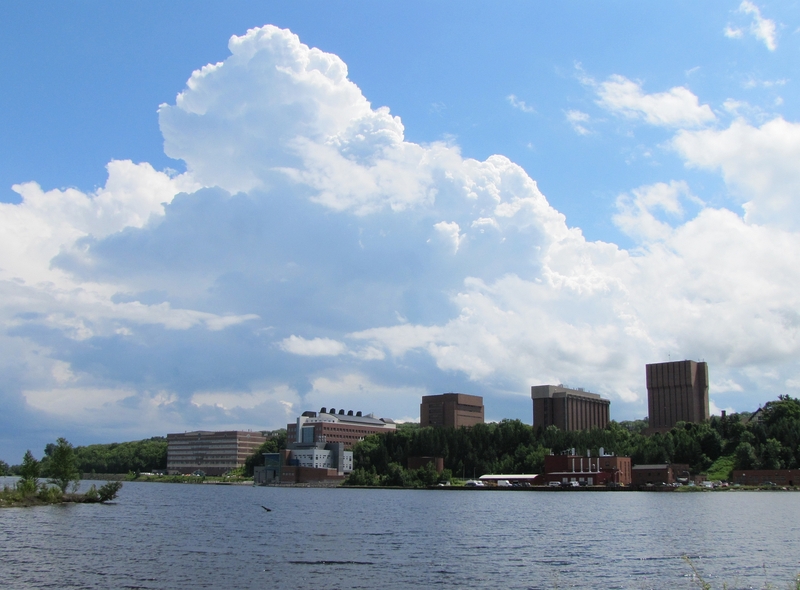 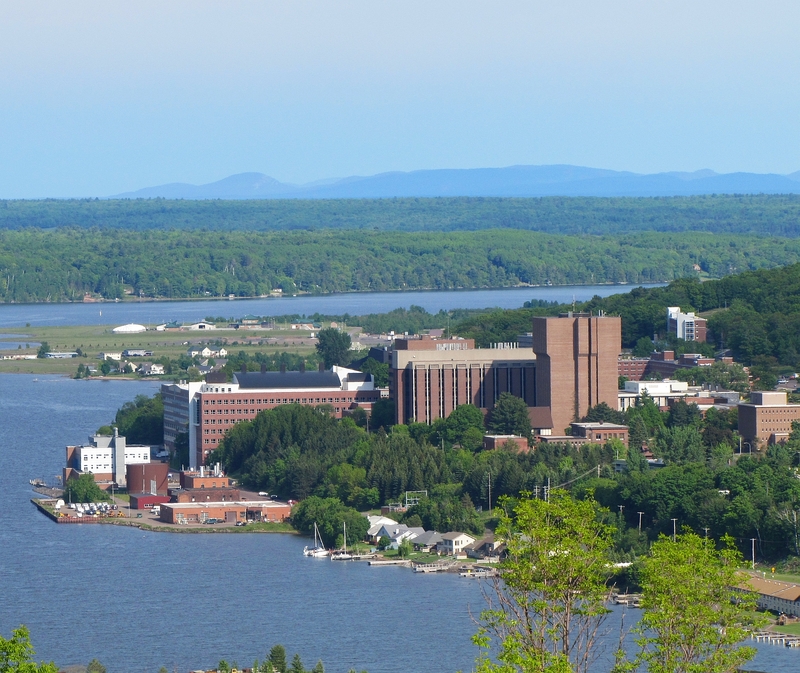 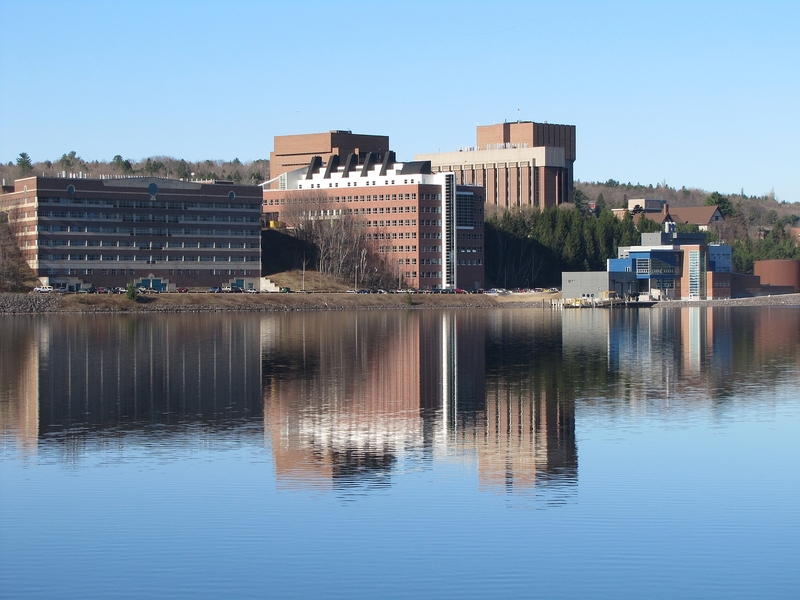 Views from various times of the year: Students and faculty often request campus images to use in powerpoint presentations or posters. 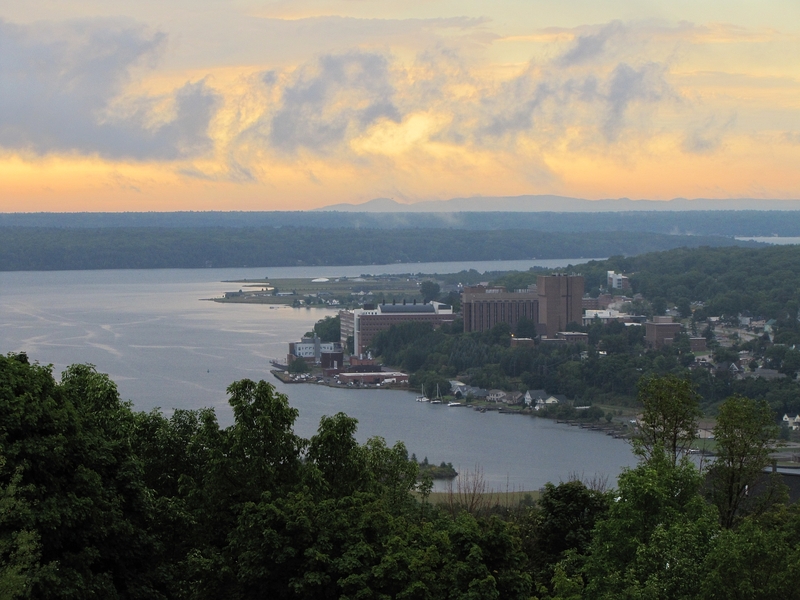 Click on the images below to view a large size image and 'right click' to 'save as' to your directory; On purpose we have many campus views to choose from, if you like clear blue sky or clouds or fall colors. 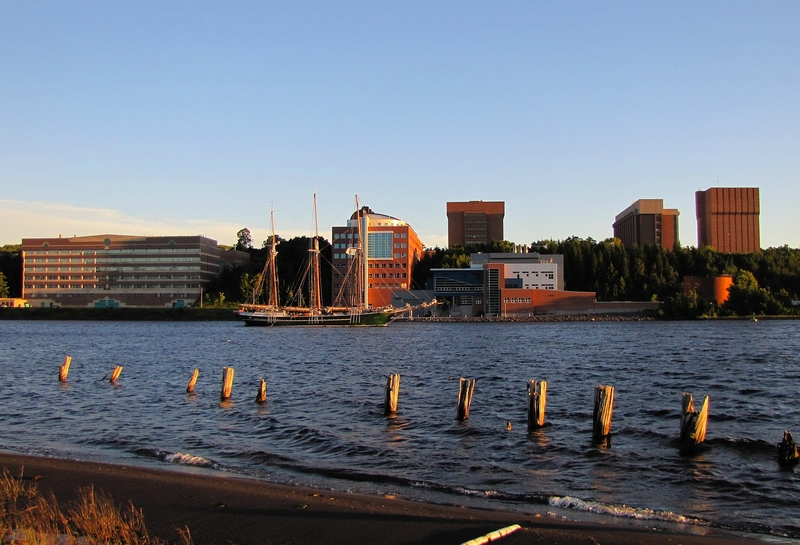 sunset light or daytime. 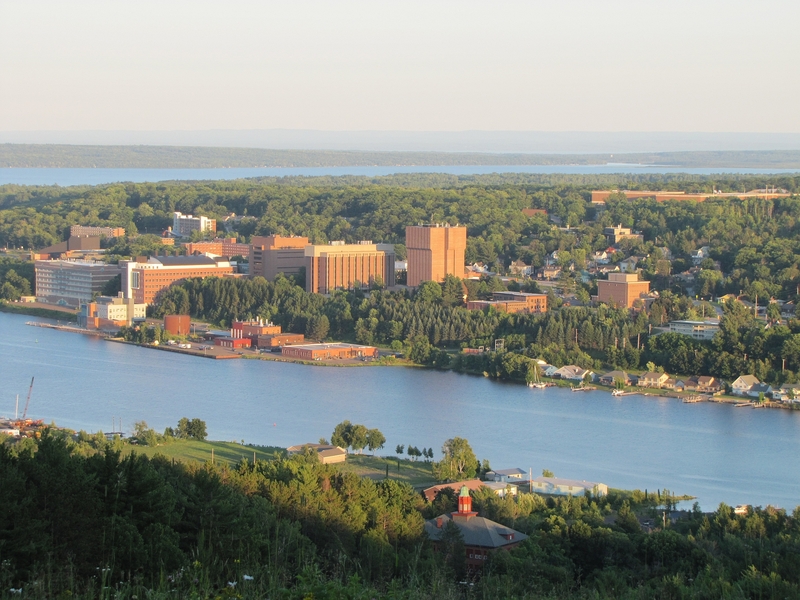 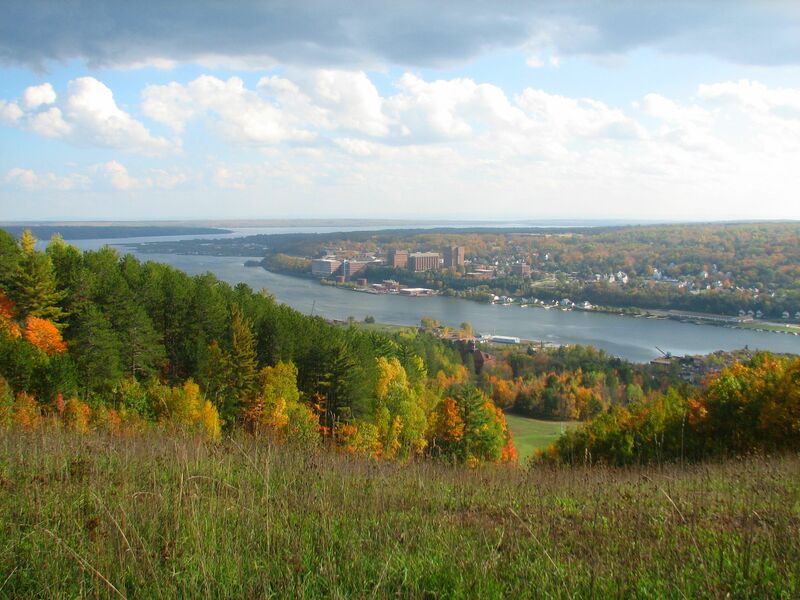 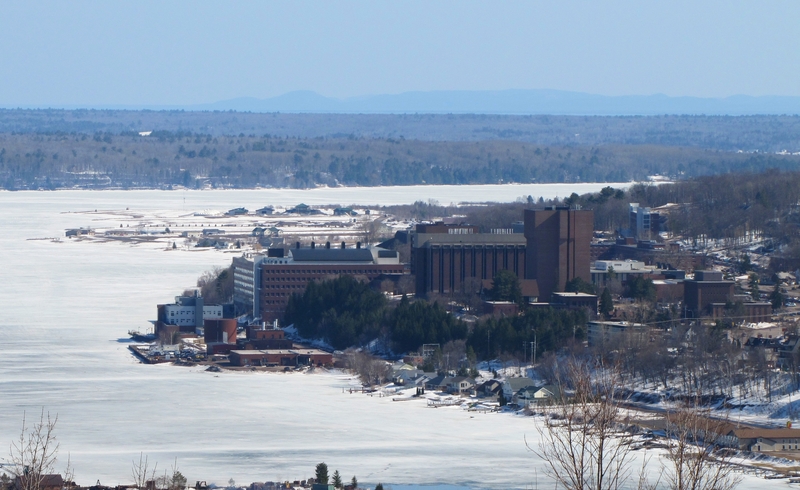 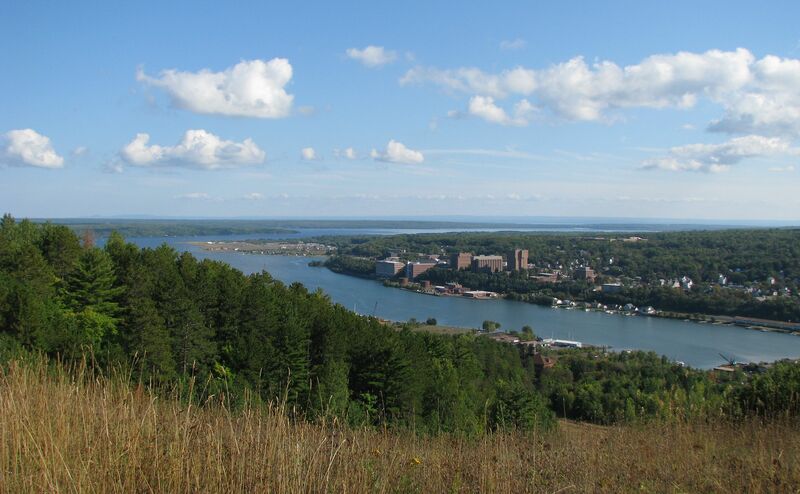 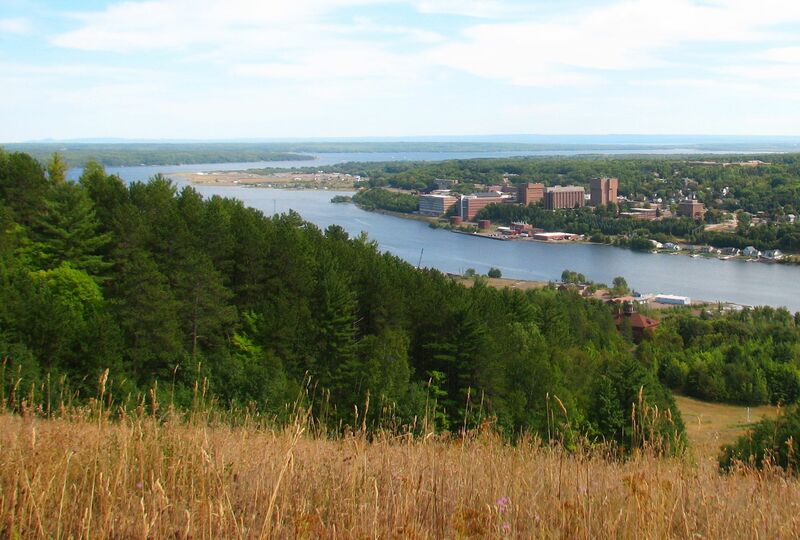 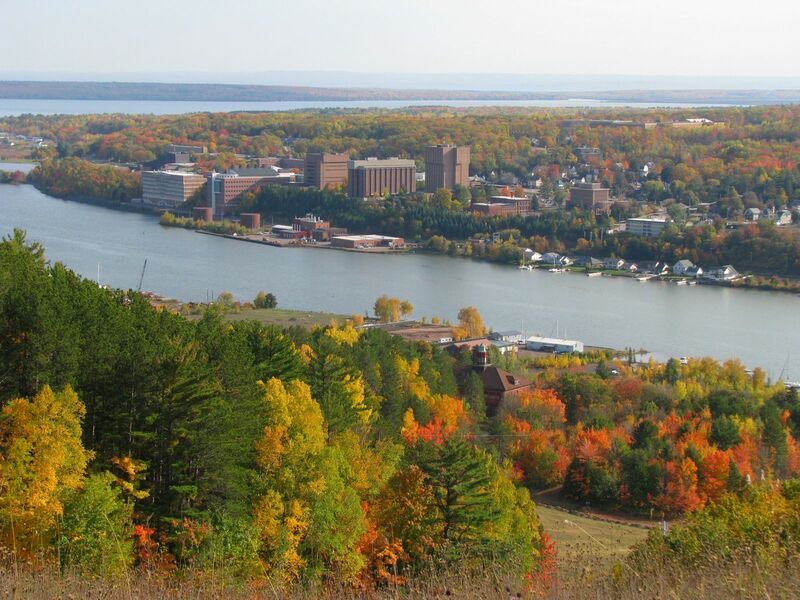 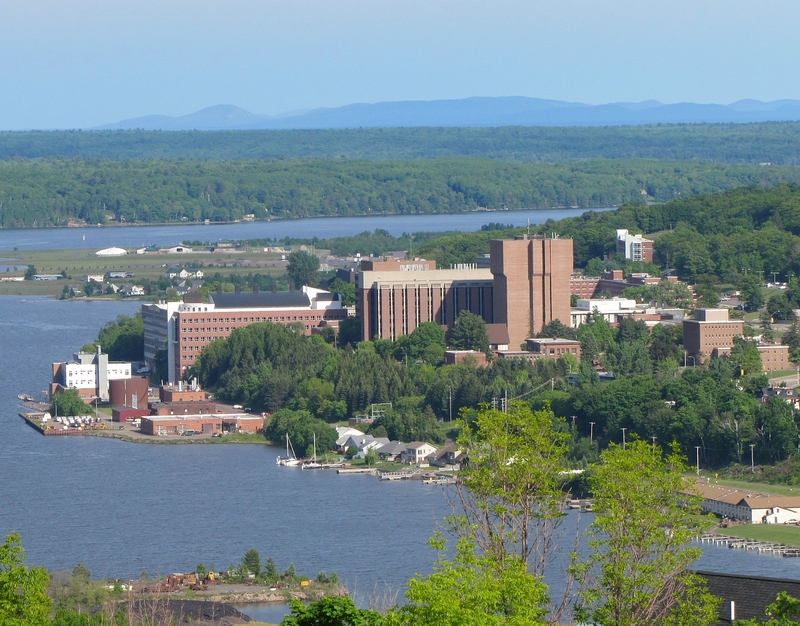 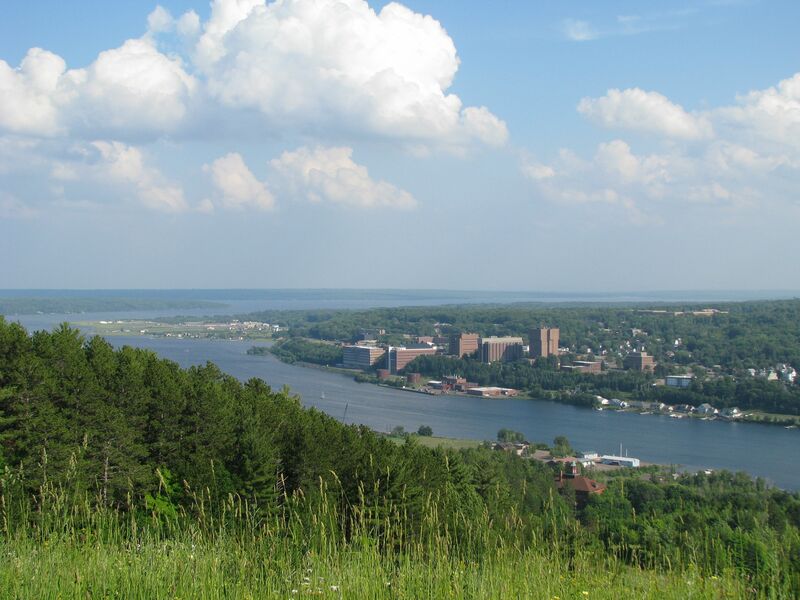 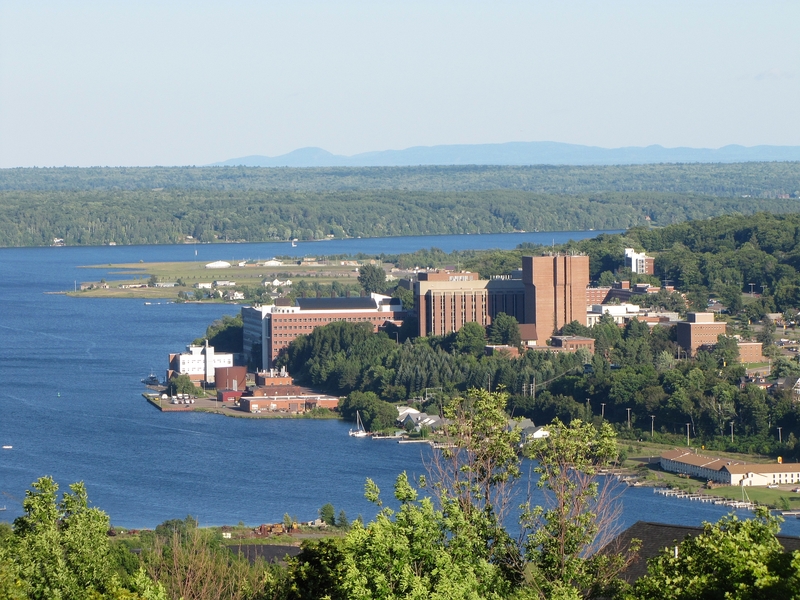 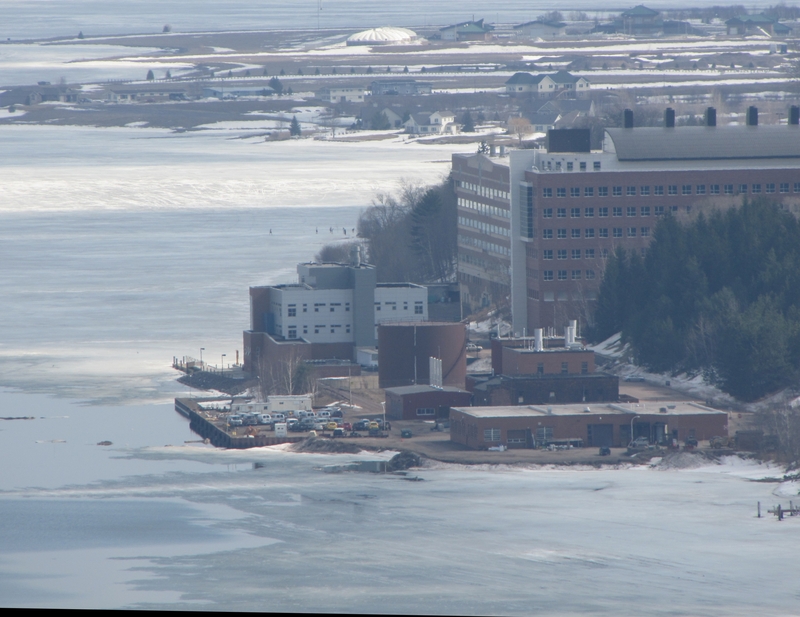 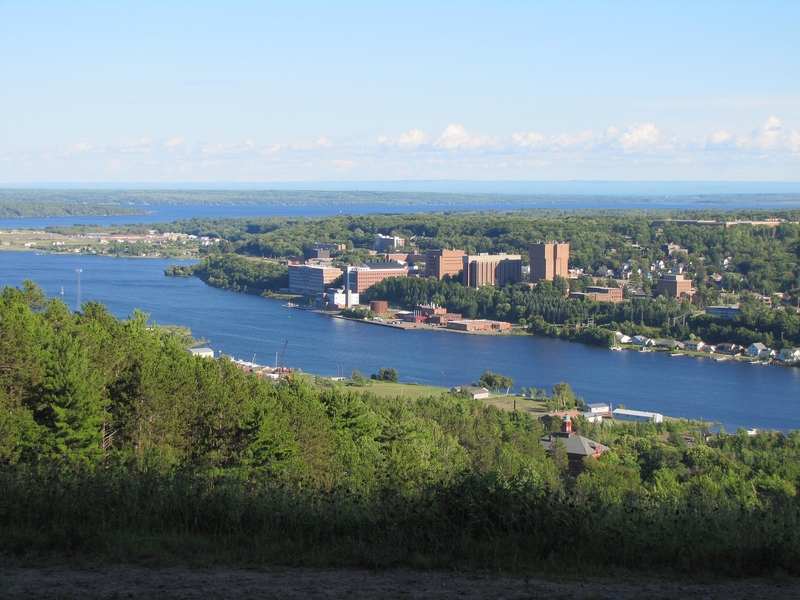 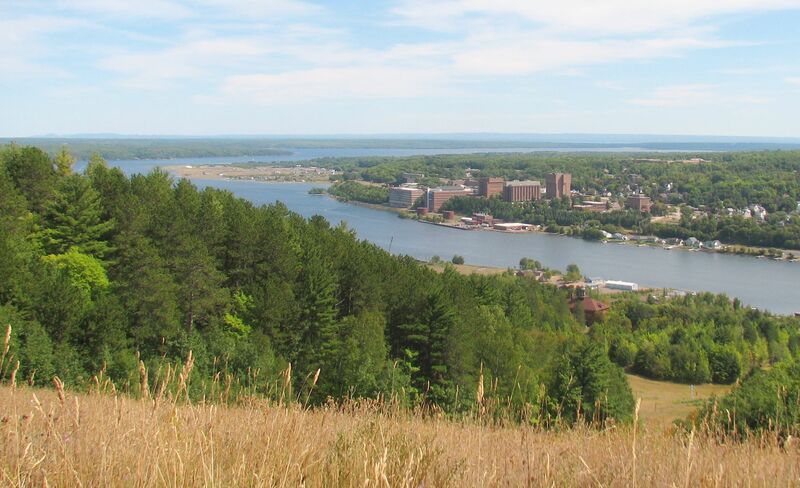 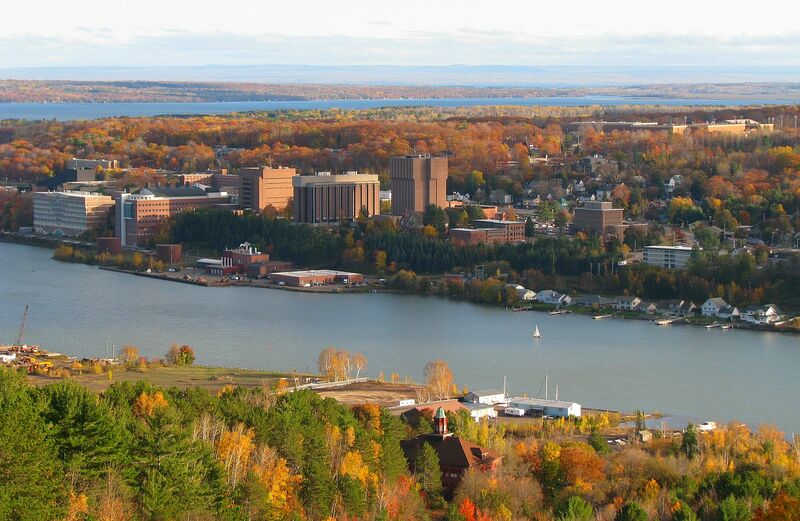 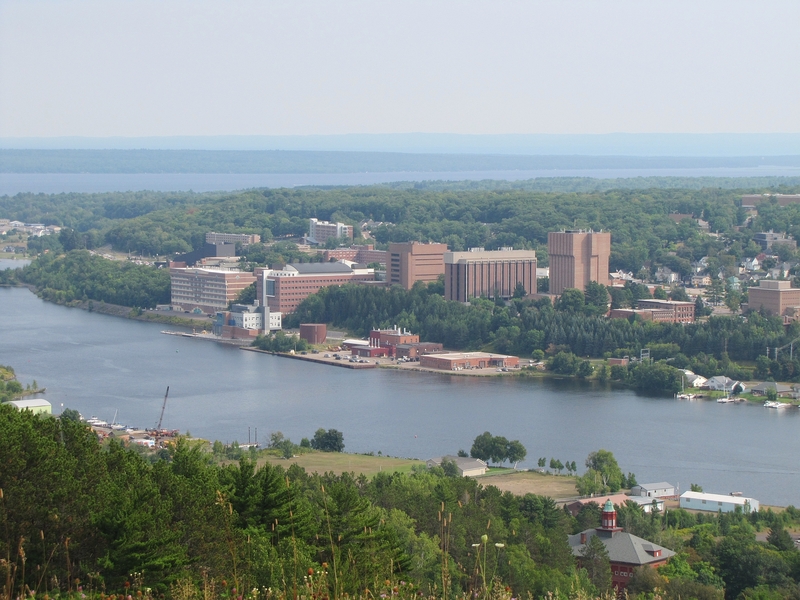 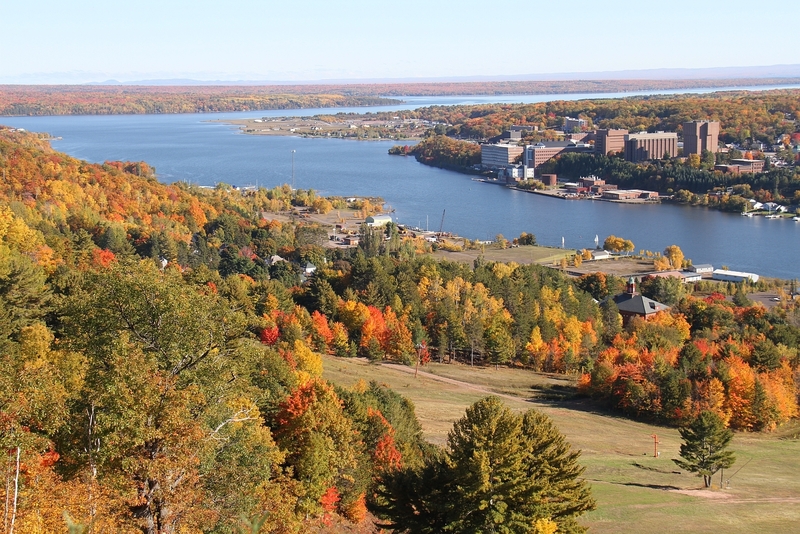 These are pictures that Michigan Tech students, faculty and alumni can use in their presentation slides or other academic publishing. 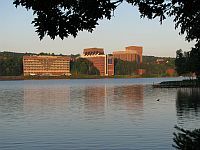 Please give credit for the image.